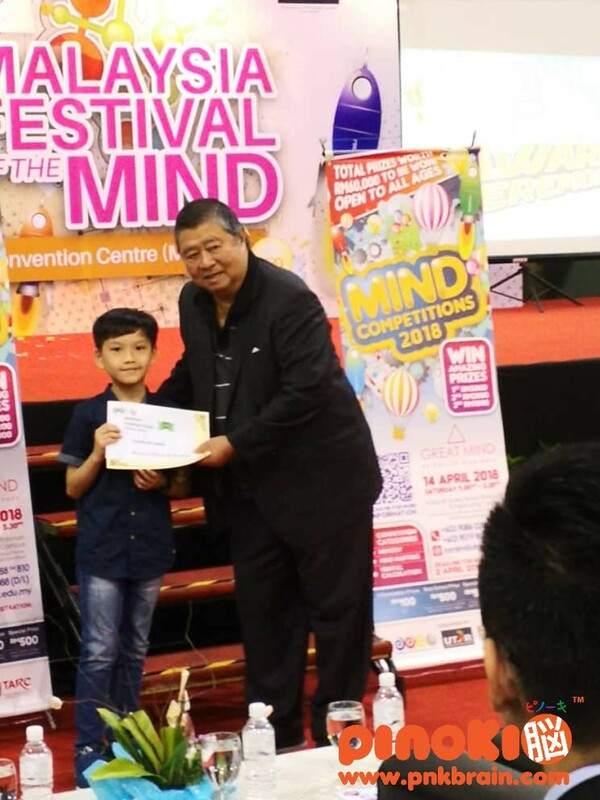 Congratulations to Chong Rui Heng for being awarded the Special Prize in 2018 UTAR Mind Competition in Random Words Category. Note: One Special Prize is given to participant aged below 10 with the strongest random words memory. 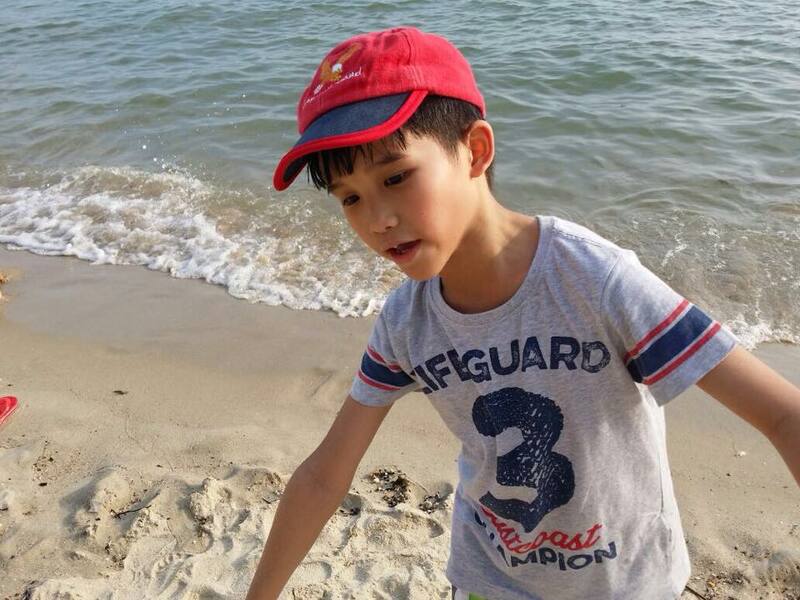 Zhou Ye joined Pinoki since he was 4 years old. Zhou Ye's mother shared with us Zhou Ye's schools examination results. "Carlson has short attention span and is impatient. He dislikes repetition and will just ignore me if I ask him the same question again. Difficult to teach. He is a different boy after 6 months in Pinoki TTDI. 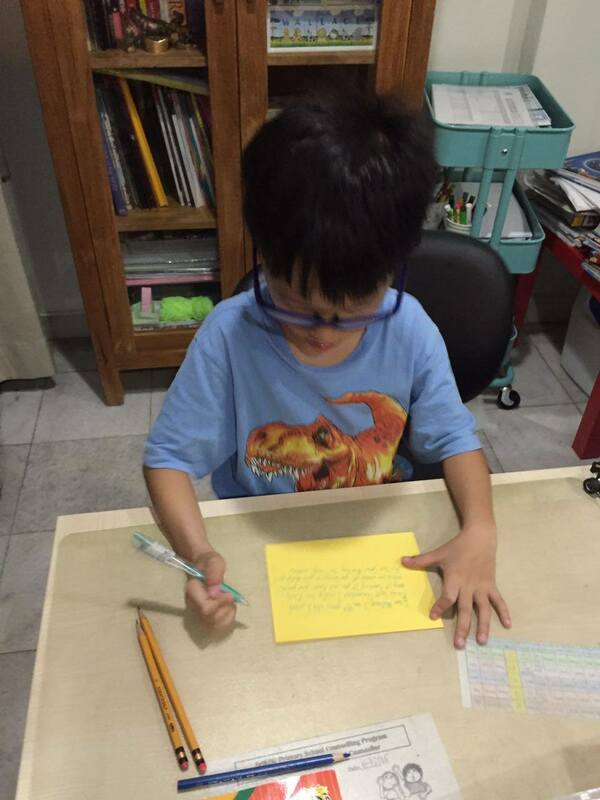 Previously, he wasn't able to do word flashcards, but he is able to read combined words now. He really loves Pinoki & can't wait to go to class every week." Aina has improved in spelling and calculation. 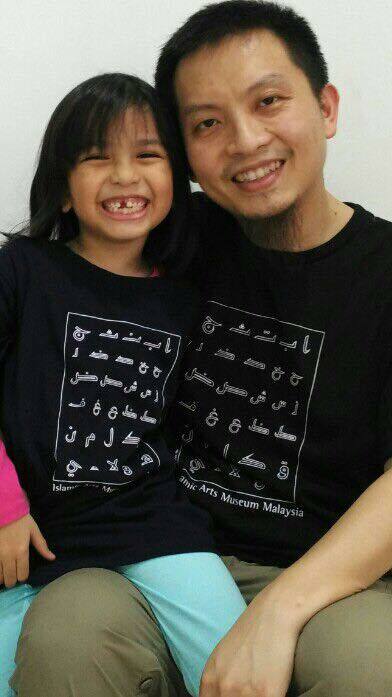 Pinoki has also helped me to introduce new ways or new approach to keep Aina interested in learning. She enjoys playing shopkeeper at home, it also helps her to remember things and improve her maths (the price of things). Top 2 percentile for individuals in the normative (standardisation) group globally. "I came to know about Pinoki Program in 2016 when my eldest daughter Elise enrolled in the KD Centre. Having seen improvement in Elise I decided to let Ee Anz, my 3 yo join Pinoki this June 2018. I really do see positive improvement in Ee Anz in a short span of 4 months. He knows how to count now. He also remembers little details that my husband & I do not seem to notice. It’s amazing. It’s surely a joy seeing Ee Anz enjoying his class every weekend at Pinoki." 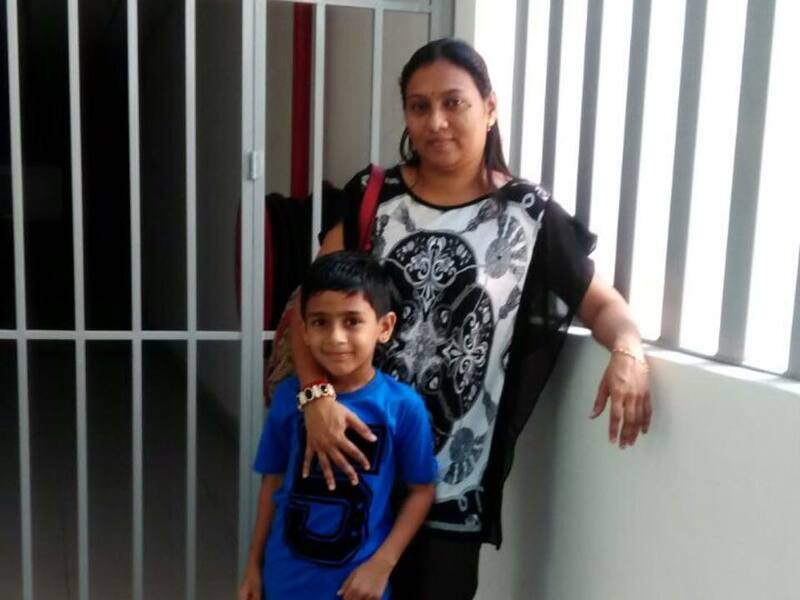 "I was looking around for a Centre that could help my 8 year old son Amer. He has low self confidence and difficulties in absorbing and focusing in the subject of Maths in school. I decided to give Pinoki a try and Amer joined Pinoki KD in January 2016. 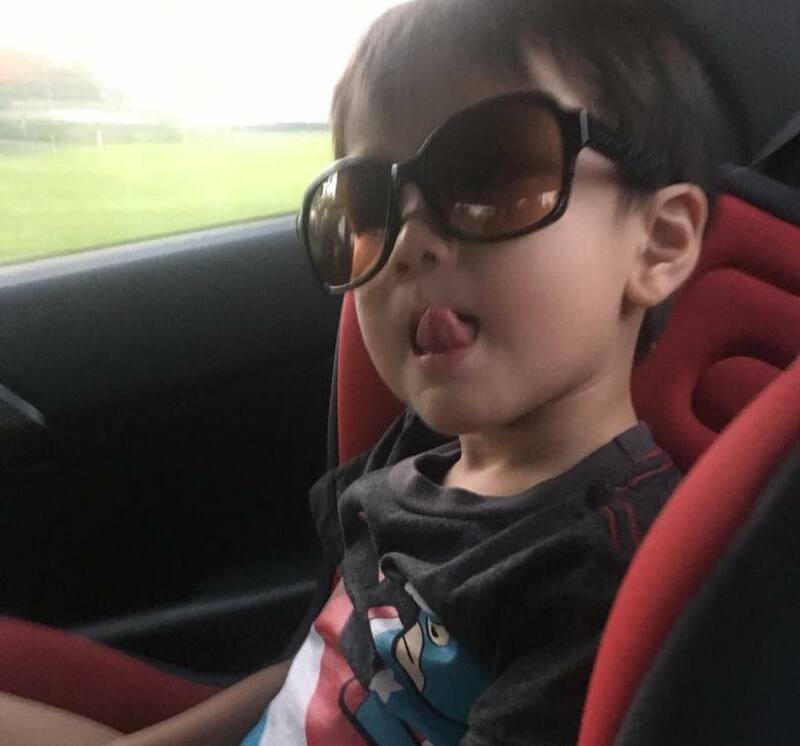 After his first lesson in Pinoki, he came home raving about the awesome time he had in class. He looks forward to class every week and told me that his classmates accept him and doesn't judge him like those in school. I am so happy to share that just after 3 months in Pinoki, Amer now takes pride in his results. He came out No 1 in class this semester and No 7 in the entire level in school. A student learns best when he is happy. Thanks Pinoki!" 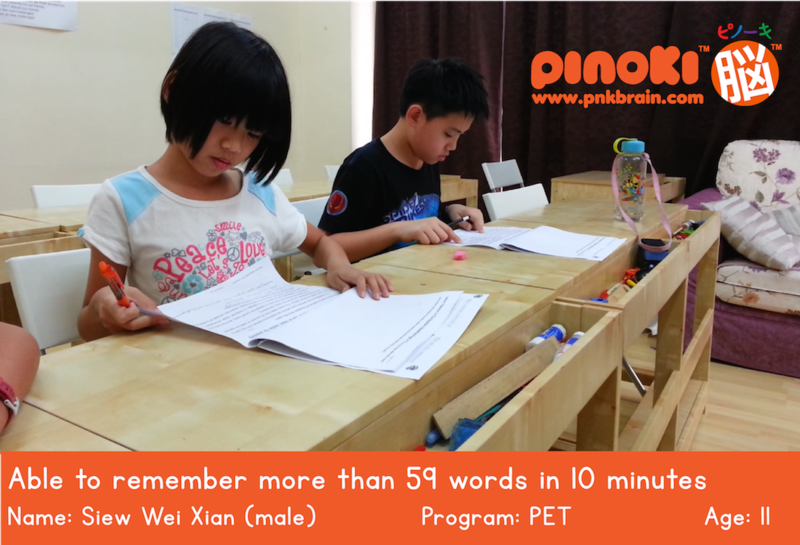 + PINOKI BRAIN TRAINING PROGRAM uses a Japanese whole-brain learning method to improve children's MEMORY. + See results in 3 months for children aged 3-4. 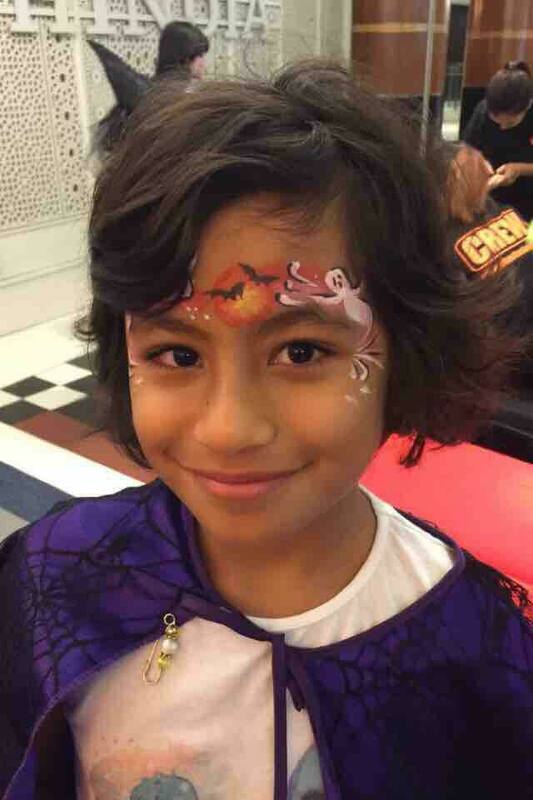 "I am very happy to share that Angus has improved tremendously ever since joining Pinoki. He could remember things that has happened as early as a few months back, up to a year ago. It amazes me and my husband, as we had to take some time to recall these incidences. Recently, we were driving along the bridge, and he could see the cat at the end of the bridge. My husband didn't even notice it. He is also more aware of his surroundings and notices changes very fast. 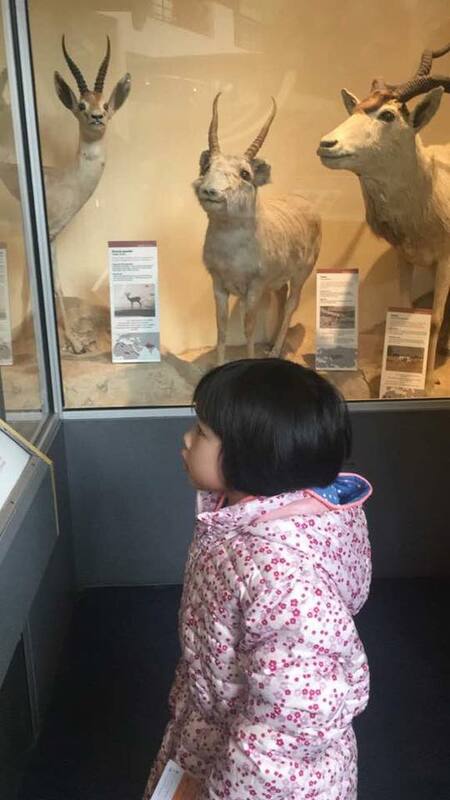 Even my friend was surprised, when Angus could identify things much faster than his child. His confidence level has also improved - he can adapt better to new environments, teachers and friends." I HIGHLY RECOMMEND THIS CENTRE TO ALL PARENTS! 1. The lesson cultivates self-learning behaviour. My son has the interests to learn words after attending the class, he likes to study words. 2. Learning speed: My son picks up very fast even in foreign language. 3. Caring: The centre's owner and teachers are very genuine and caring. My son was premature, when he joined he still can't walk properly, and not able to do a lot of things by himself, but they accepted him and handle him with extra care. After my son joined the class, I noticed my son picks up a lot and improved his words dramatically. "I have heard about Pinoki for a long time but didn't bother to check out the program until August this year. It's because I found that See Suan wasn't very good with her phonics and reading. She also has very short attention span. After paying for one trial class at Pinoki Kota Damansara, I signed my daughter up. 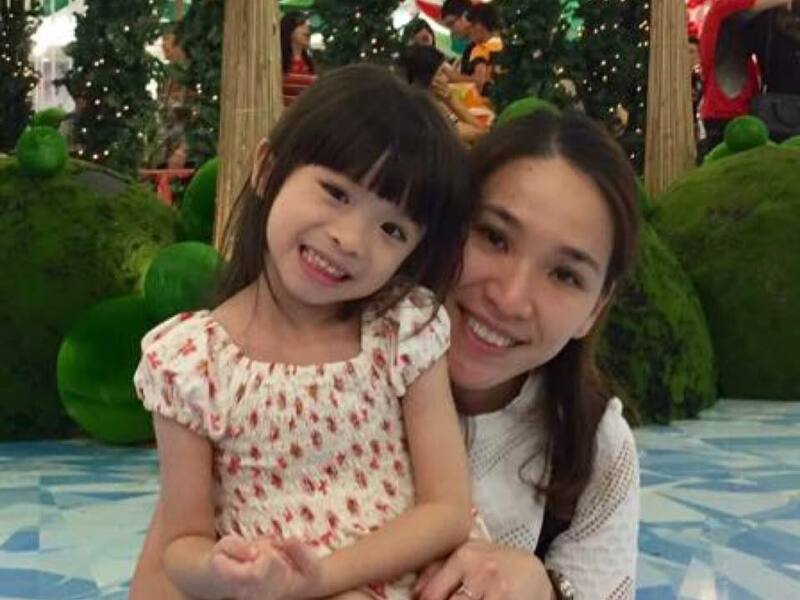 A few weeks after she started Pinoki, her kindergarten teacher told me that she was able to recognize basic phonics and started to read short words. Teaching her was getting easier. Of course, I am very happy to hear that and I give credit to Pinoki. 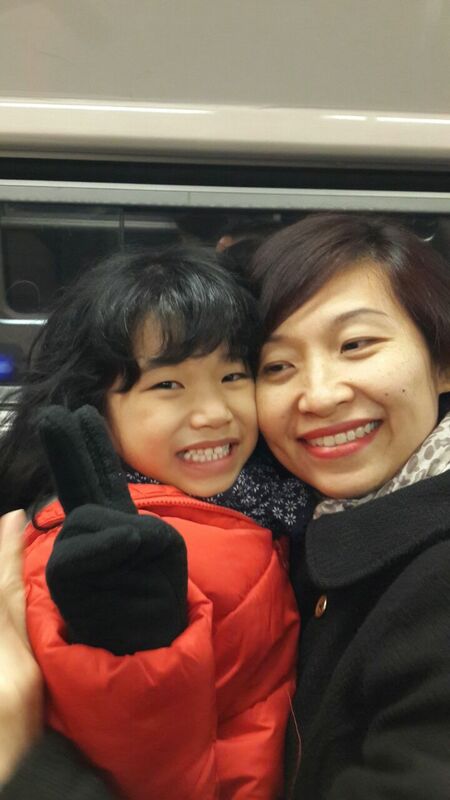 I quickly recommended my friend whose daughter also goes to the same kindergarten as See Suan." "Terrence is an active & happy-go-lucky boy with a short attention span. It was always a big challenge for me to teach him at home as he gets distracted very easily. 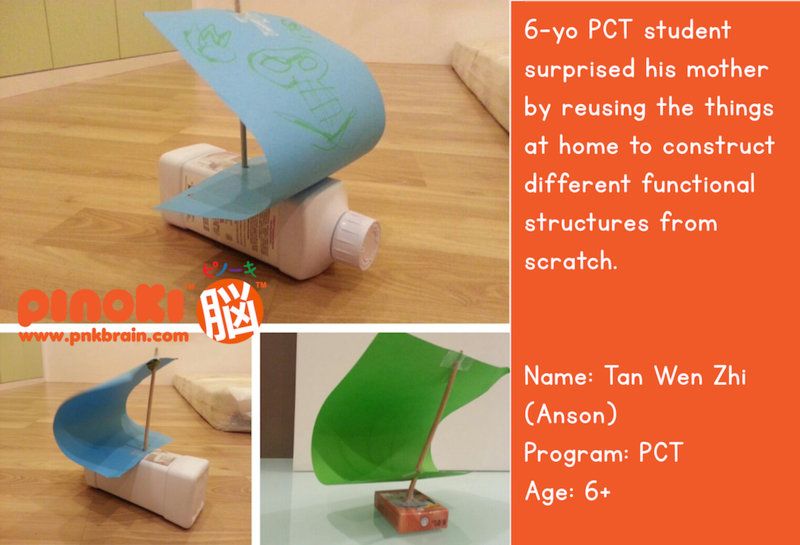 Pinoki's play and learn method has certainly helped Terrence in his learning. He is not forced to sit through the entire class but has short breaks after each activity. This method helps him to focus better. I also learned to understand Terrence better during The Parent Workshop organized by Sensei Jason. He taught me ways to teach Terrence at home and I put that into practice. It worked well as the ways I learnt truly suit to him! Terrence's attention span has improved so much and his memory is amazing now. It is no longer so stressful teaching him at home. He really enjoys and always looking forward to attend his Pinoki lessons! I feel grateful that Terrence is happy at his learning. Thank you so much to the senseis in Pinoki for giving him appropriate guidance and for their patience." 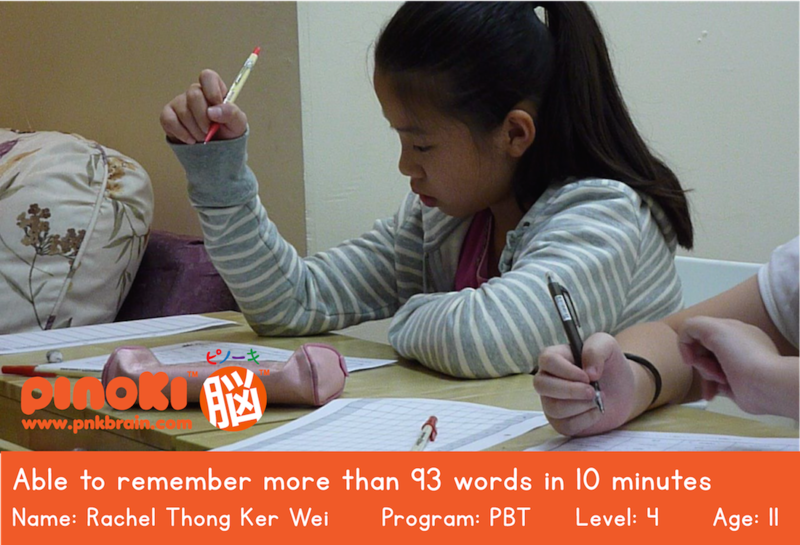 +Pinoki Brain Training Program leverages on a Japanese whole-brain learning method to improve children's memory, learning ability & self-confidence. +For children aged 3 & 4, you'll see results in 3 months. "For quite some time, Sarah lacked focus in her studies and had low confidence tackling certain subjects such as mathematics. 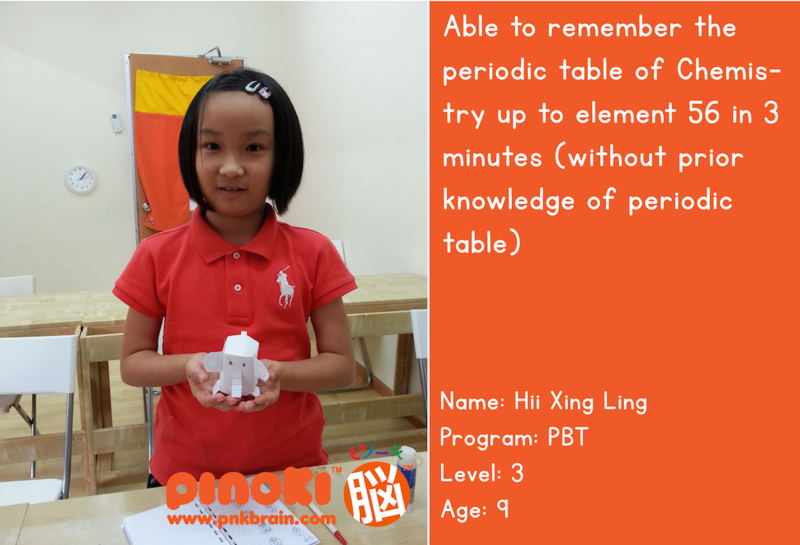 After just a few months attending Pinoki, she become more efficient in her studies and I noticed a sharp increase in her memory. She also found learning new things more enjoyable and also become more competitive (in a good way). 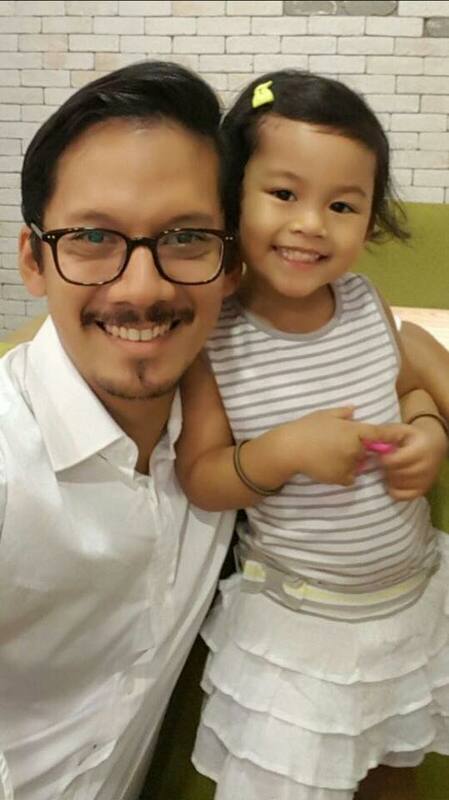 Sarah says that Pinoki is her favorite class and always looks forward to the session." 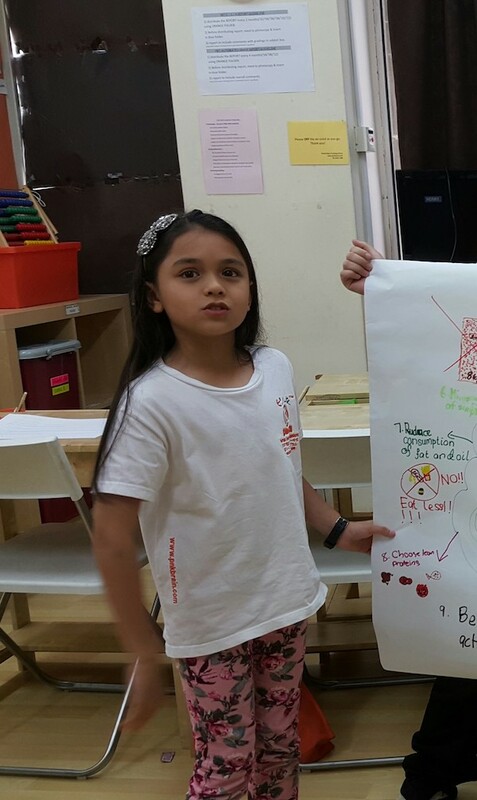 +Weekly classes available at TTDI & Kota Damansara for ages 3 to 8. Zackery has improved tremendously since started Pinoki. Lots of encouraging and positive feedback from school with excellent memory in his studies. Ayden is always excited about Pinoki classes. Eager to participate and fun to learn. 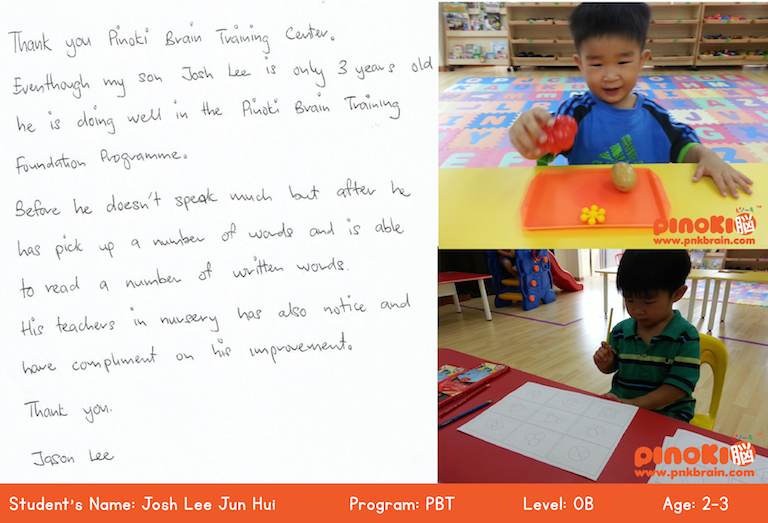 From our observation after one and half years of brain training, he has definitely achieved a higher level of learning skills. Isaac visual & eye for detail have strengthened as he is able to differentiate between two similar looking trucks now. “Rome is not built in 1 day”? 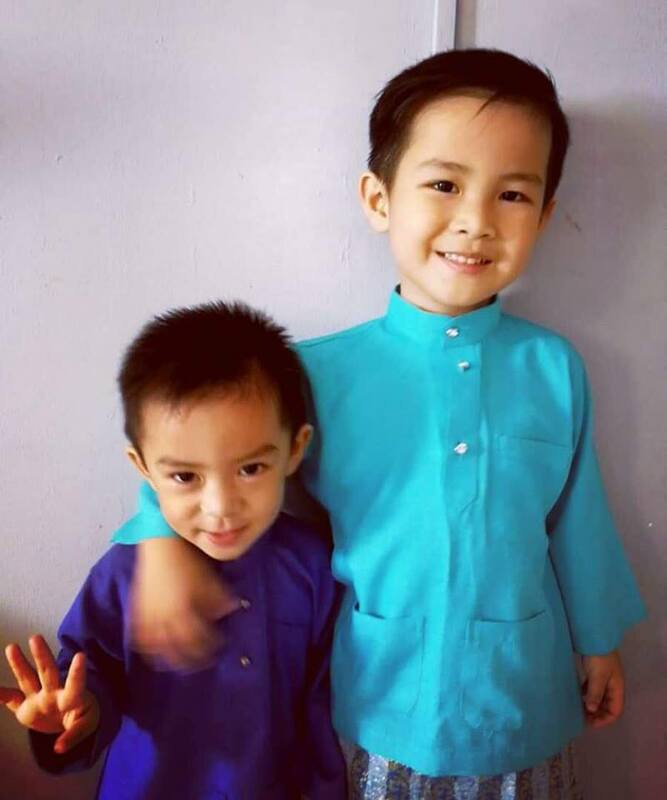 ?My son ‘Imran (6++) was with Pinoki KD before, but because of my work relocation, we have no choice but to quit Pinoki and it was a tough decision for me. It has been 5 months my son ‘Imran left Pinoki.? ?You know what? On the very first day Imran stepped in his school (he has morning school for sekolah kebangsaan and afternoon school for his sekolah agama), I can see that the “positive seeds” planted in him during his learning with Pinoki started to grow flourishingly and shaped him to be the extraordinary in both schools. He stays focus, he learns fast, he concentrates well, he understands better, he’s mature, he memorizes things easily and yes, it’s like a sharp knife and chop everything in a very short of time, no kidding! I must say, this has something to do with the skills he has learnt during his Pinoki class that somehow help him to be a person with a strong mind compares to his friends who are born few months earlier than him (Imran is 2008 year end Dec baby).? ?This is why, I have made a decision to continue his class with Pinoki KD and willing to travel far just to send my son to attend Pinoki class in Sundays . Of course, ‘Imran is pretty much thrilled about this and always looking forward to his Pinoki class, he seems doesn’t mind waking up early in Sundays.? ?Thumbs Up Pinoki!!!.. Andrew started to join Pinoki when he was 4 1/2 years old and he has improved a lot and developed his own self-confidence. 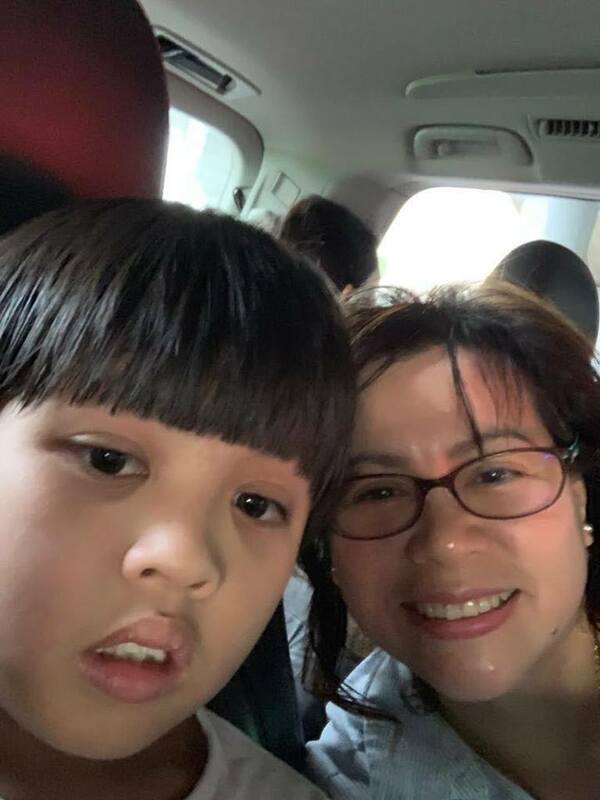 Andrew enjoys going to Pinoki, not only because he gets to learn and play, it's also because he gets to take up challenge every time he's in class.” Thank You Pinoki"
After attending lessons in Pinoki, I found that Tessa’s visual & memory have improved significantly. We are amazed with her improvement. 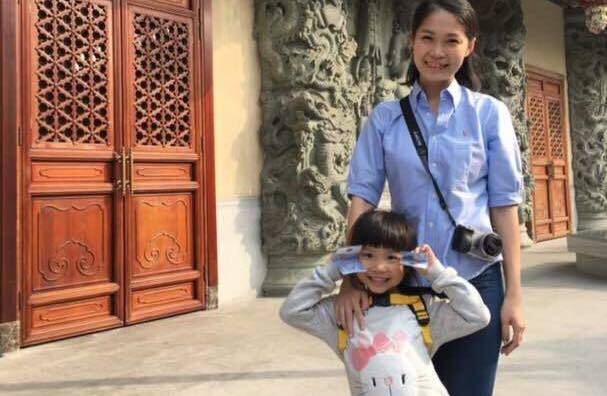 After joining Pinoki, Zi Qi’s kindergarten teacher commented that she has excellent memory & can solve math problems at ease. She is no longer shy & loves to converse in English now. Jay Zie is shy, has low confidence of herself, struggled with learning compared to other kids within her age. She hardly smiles nor express any emotion and reaction out of her comfort zone, which is home and amongst family. At home, she is totally a different girl, outgoing, outspoken and happy. We initially thought it is fine as it is part of her growing up challenge and she will overcome it naturally which requires more time to adjust and adapt. But she remains the same until she was 5 years old, it got worst until we were approached by her kindy principal and teachers. They too were extremely worried and they tried and gave the best of attention to her. As parents we were very worried too, as she can't read well, count and understand, which mostly likely the result of her closing her mind. We started to look around for enrichment classes or any help but to no avail. Finally a close friend introduced us to Pinoki. We were reluctant at first as we do not understand the brain training concept. But we pursued as we had no further choices. On her second month since joining Pinoki KD, we were happy to notice that she did not reject the idea of going to the center every week in the afternoon, missing her sleep time along the way. She looked happy and eager to go as she said she gets to play with interesting learning materials. She smiles more in school and she manages her kindy works independently. We continued seeing positive changes in the next months and she now starts mixing with her other friends in kindy. She smiles and she chats with them and do join their play activities. Her reading and math improved and these were noticed by the teachers. Imagine that at the beginning at 5 years old, she cannot understand or complete simple maths like 4+2. After Pinoki she is now doing 20 +6, we are extremely satisfied. We do not know what and how Pinoki did it, but my daughter improved with leaps and bounce. I believe the programme, the loving and caring principals and teachers contributed a lot to this positive change. I am amazed at how attentive and interested Zufar is with his sessions after 3 months. Pleasantly surprised at how much he has achieved in such a short time. 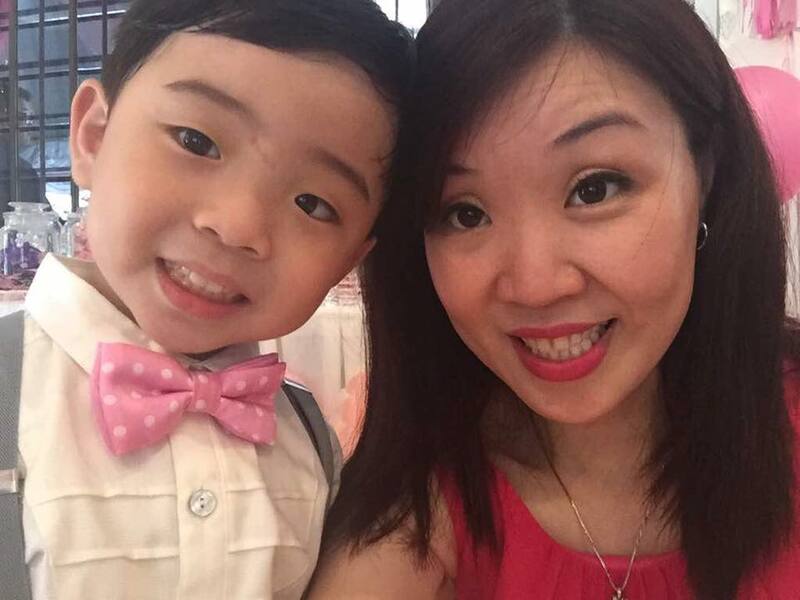 "It took me by surprise today when I had my son tried on primary 1 Singapore Math. I thought it would take me ages to guide & help him to understand such a question. As usual, I will just let him attempt the question on his own. It took him a while to digest, then he mumbled the answer verbally without even doing a working on it. I was like...did you check the answer? Did you copy my answer? Or you just simply ‘tembak’ any number? Then he started explaining to me how he solved the question. Ìt made me recall the time when he joined Pinoki half a year ago. Sensei Jason told me - "You will see results in half a year's time. Give us your trust & we will produce the results for you." Today, I would like to thank him & Sensei Sandy for their patience and time given to us, and of course not forgetting their group of dedicated Senseis at Pinoki Kota Damansara. Just to let you know, if compared to others, my son might just be average, but his passion towards learning & seeing him improve bit by bit has made me a proud mother. He loves going to Pinoki. He loves the competition & challenges thrown to him in class. Looking forward and eager to attend his Friday class has made me reaffirmed that I have sent him to the right place. 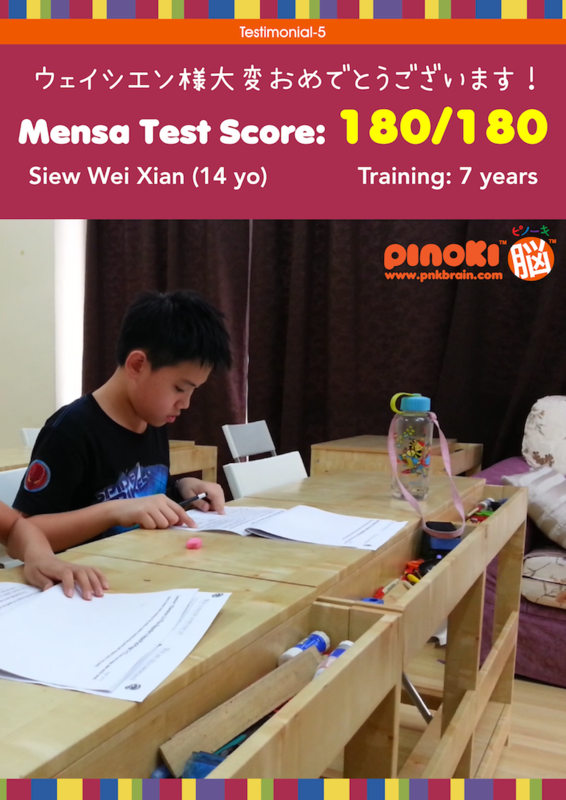 He shared what he learned and the fun and joy he had in class, telling me that he has improved on his memory, speed and concentration in doing things.... all because of Pinoki." SON VS DAD. WHO WON? 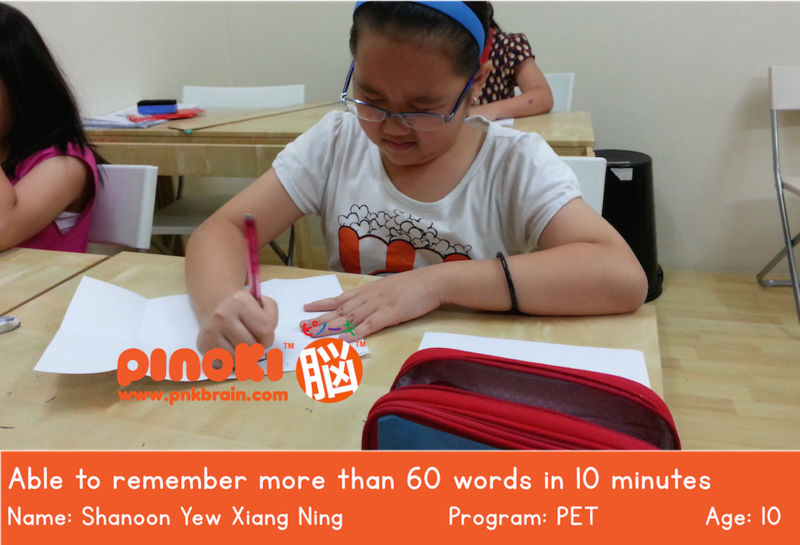 Our 7-year-old student Ming Yuan was pitted against his daddy, to see who possesses stronger photographic memory. The end result - a draw. 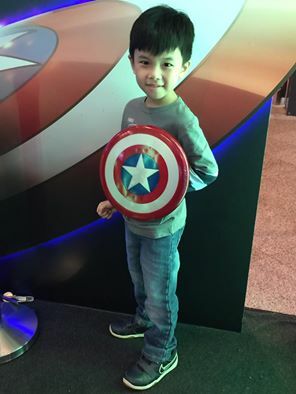 In short, Ming Yuan is as good as his daddy or you can also say that his daddy is as good as him. 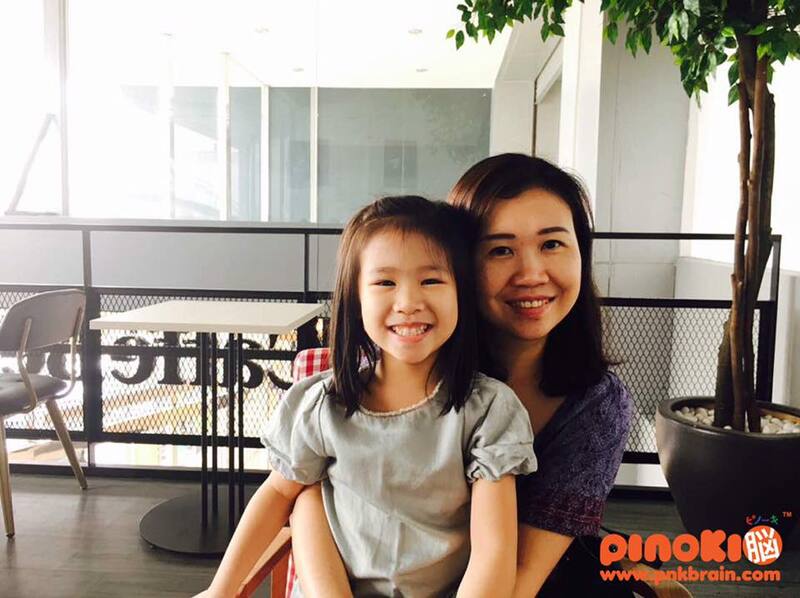 "We met with Pey Yi's sensei at Pinoki Kota Damansara for sharing of her progress last week. Sensei showed 2 exercises that Pey Yi could do in class and we were impressed by her. She could answer Math questions very fast without even needing any pencil and paper to count. I never knew that she could do such a thing because kindergarten's homework is always done on paper. Her memory has also improved and she can remember small details, which even me and my husband couldn't recall. We believe that Pinoki has been helping her improve over the last 2 years. 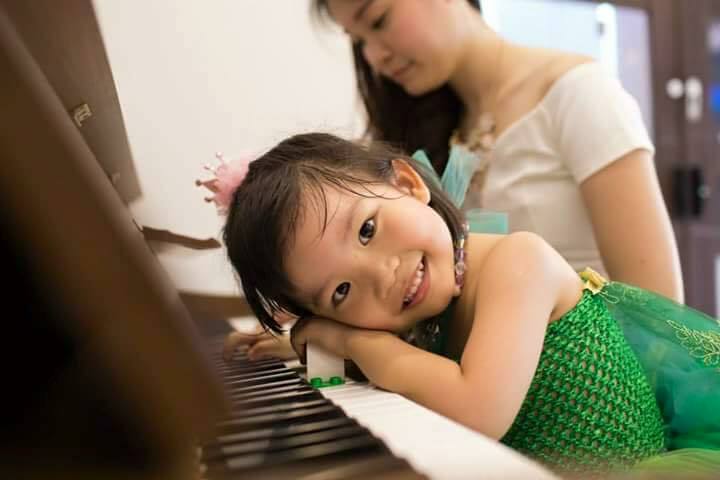 Pey Yi looks forward to attending her lesson every week because she really likes her class and all the Senseis there." "I was recommended by my sister to check out Pinoki at Kota Damansara. I believe it's because she saw improvement in her daughter, so I thought - why not? I visited them about 4 months ago and I like the program because it trains children's brain, which is an important part of their growth. Since then, I have seen Xin Yi improving in her various ways. She is able to count money accurately now and when I asked her where she learned it, she said it was from Pinoki. As for Maths, I see that she can count very fast now...without using paper. And on top of that, her confidence has also improved. I really like what I saw and will continue to send her to Pinoki." 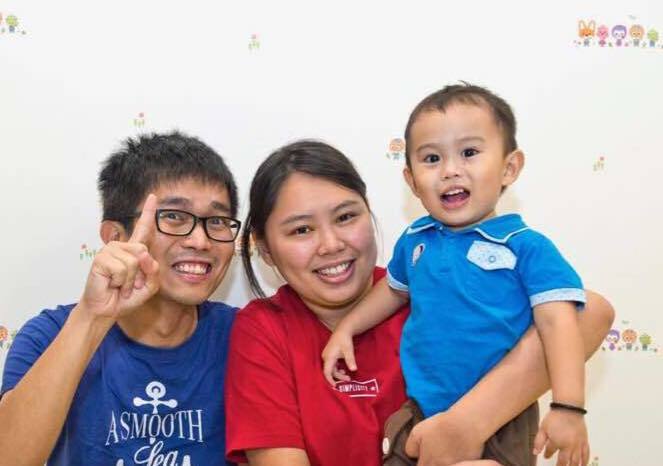 "Stuart started lessons at Pinoki Kota Damansara in August 2013. At that time, he had really short attention span and didn't like Maths and reading, as he found both subjects very challenging. 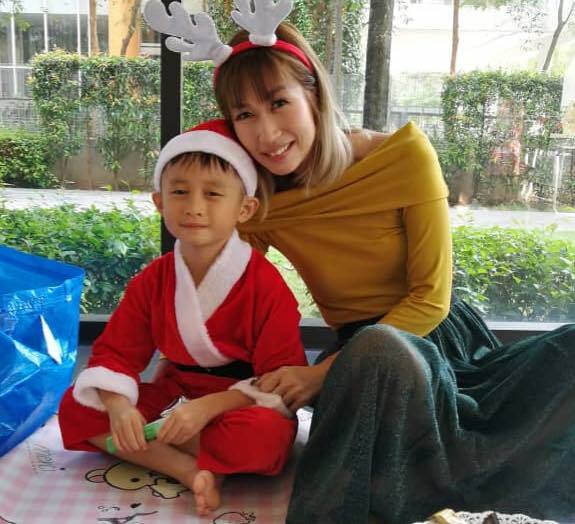 After 2 years at Pinoki, we find that the program has really helped our son. At the end of last year, we received a very good report from his kindergarten teacher. He has improved so much in terms of reading and Maths. He has longer attention span now and that helps him tremendously in his studies. He always look forward to his Pinoki classes every week and he never want to miss a class, if he can. Thanks so much, Pinoki!" 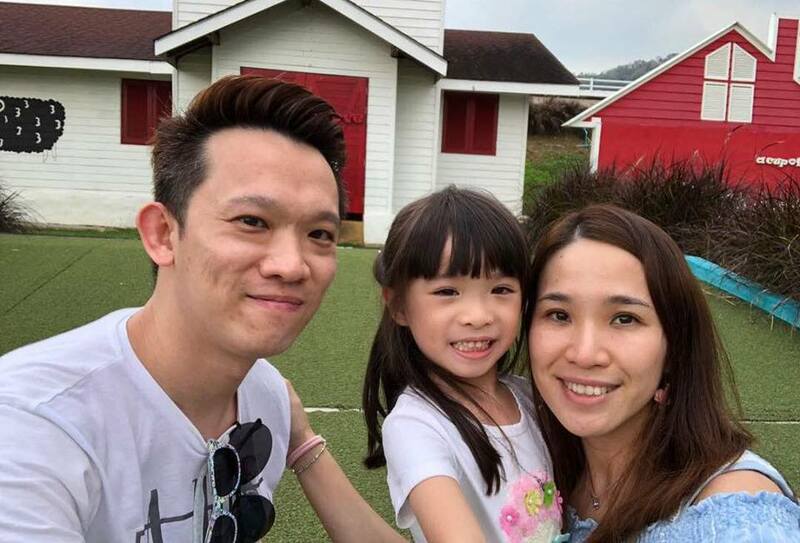 "Emyra used to have short attention span and it wasn't easy for my wife to teach her at home even though she can pick up English pretty fast. I wanted to start her at some child enrichment programs before she turned 3 but I was very cautious of the places that I chose, as she takes longer time to trust strangers. Finally, I found Pinoki centre at TTDI, a place which Emyra seemed to like as well. Few months into the program, I noticed that her attention span has actually improved. She also has more patience now and able to remember small details of what she learned. It was a pleasant surprise for me indeed. Emyra really likes to go for classes at Pinoki and I believe she will continue to develop her thinking and learning ability there." "Zi Yi used to have difficulties sitting to complete her homework. It was difficult for me to make her finish her homework at one go. Even 5 minutes was difficult. Today, she can sit down and focus on her work like writing or drawing for double, if not triple of the previous duration. I believe this is because Pinoki program has improved her concentration." "Jia Ren had challenging time fitting back to the schooling system in Malaysia upon our return from overseas posting. The lessons are structured and bound within the walls of the classroom. Being a kinesthetic child, he finds school lesson here less interesting than his previous school, where early years education are very much hands-on and coaching on development of living skills with cognitive elements embedded. With his short attention span, I had difficulty convincing him that school will be fun, until Pinoki classes and teachers made a blend of his two vast different experiences. 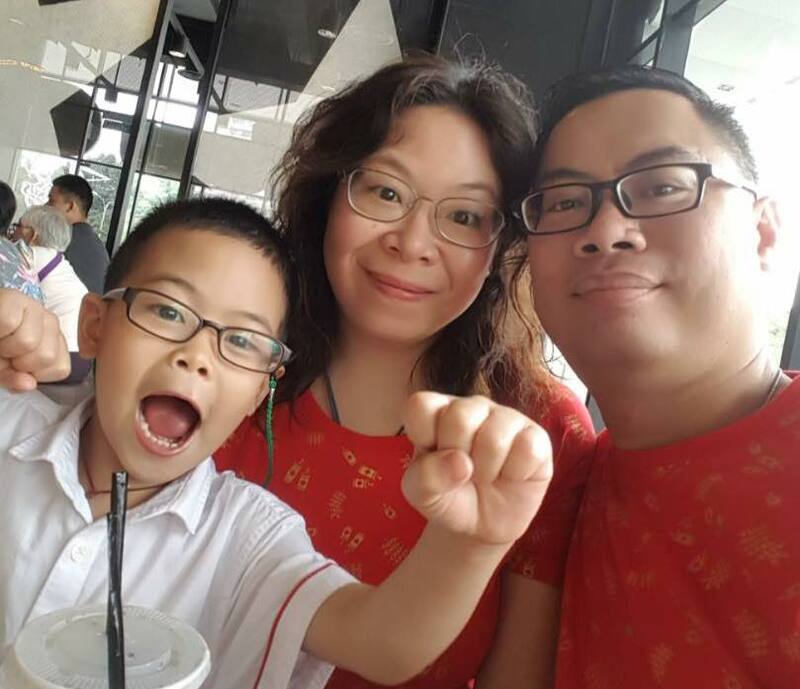 We have rejoined Pinoki TTDI upon our return in October 2017, and after 6 months on, I am pleased to share that Pinoki has helped my son to regain his enjoyment for learning. The lessons at Pinoki are catered for children with different learning strength and they are fun and effective. 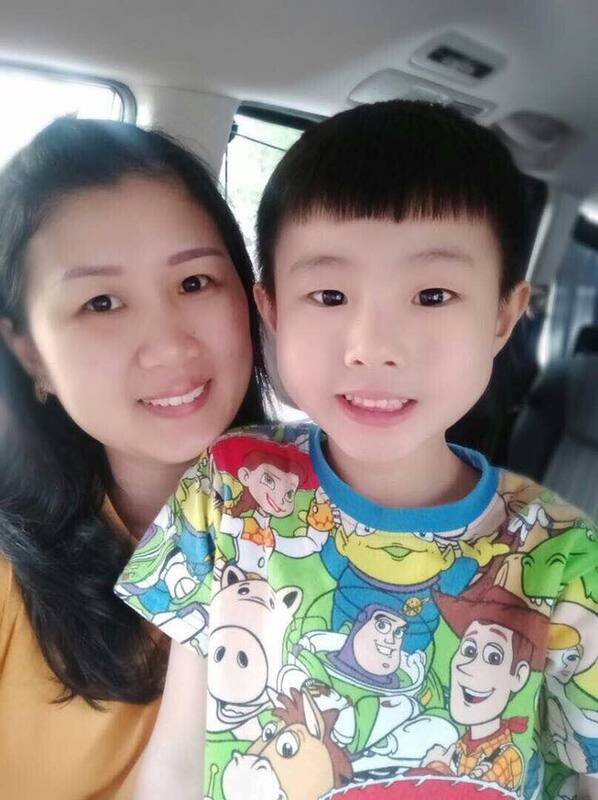 I’m happy that Jia Ren has progressed in terms of reading and making words blending, he doesn’t resist Math and can do progressive addition. His attention span has also lengthened. I would like to thank Pinoki for accepting Jia Ren the way he is, handling his odds and ins. He continues on as a happy and loving child." 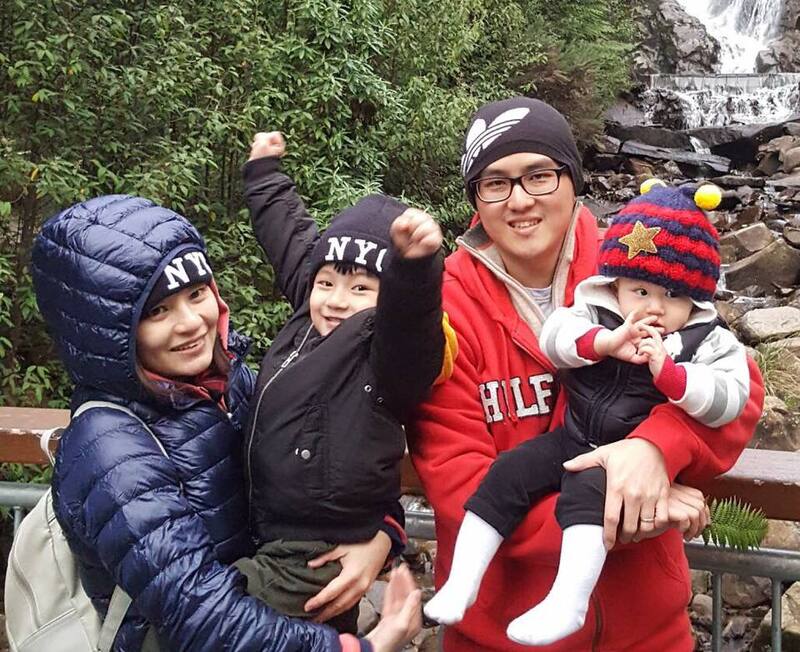 "My son, Joon Ee, is barely 3 years old and we are not keen to send him to kindergarten until he is 4. We wanted him to join a class that can enable him to enjoy while learning. 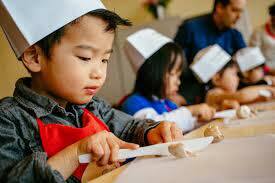 We did some research & decided to join Toddler Program at Pinoki TTDI Centre. The first month of classes was really stressful for us. Joon Ee refused to participate in almost all of the class activities, and he was doing everything except listening to the Sensei. He was selective in learning and choose to only participate in activities that interest him. We conferred with Siti Sensei after each class on ways to guide him at home and she really gave us good support on this. March was our third month with Pinoki TTDI. Joon Ee still has his emotional streak at times, but he is happy in class and participates in all activities. He can now sit and focus in class. He is quick to learn and his memory retention is good. I can teach him 6 words using flashcards compared to barely two words previously. Its so much easier to teach him at home now and almost stress free." "Toby is a happy boy who is outgoing and chatty. At times his friendly behaviour does make it difficult for him to stay focus in class. His attention is easily diverted by friends and toys. 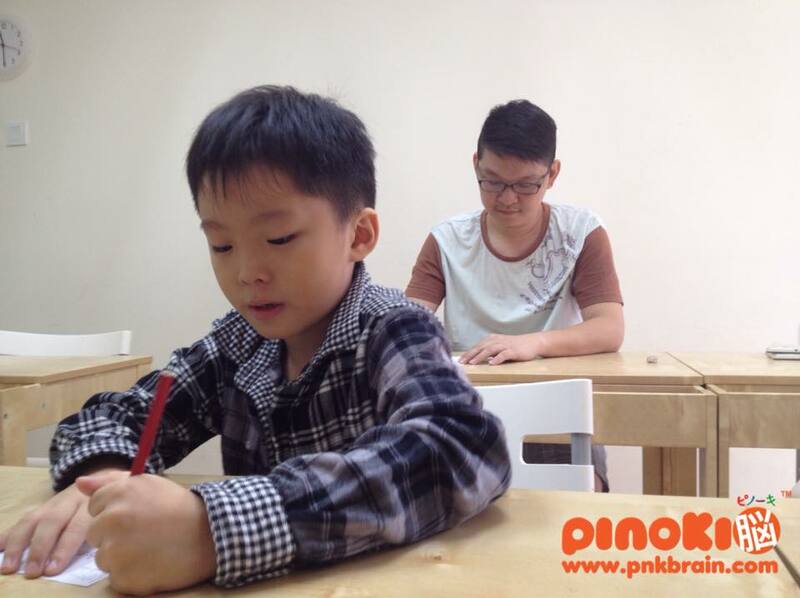 Attending Pinoki classes has helped Toby to stay focus for a longer period of time in school and classes. He gets less distracted now. Toby knows that he has to complete his lesson before he gets to play in class. Previously he would just hurrily attempt his class activities but not anymore. Now he takes his time to think and carefully answer the questions in class. Toby is also more alert to his surroundings now. He is quick to mention any abnormality that he sees. Toby is very attached to Siti Sensei. He looks forward to his classes at Pinoki. Thank you Siti Sensei for spending time in nurturing him." 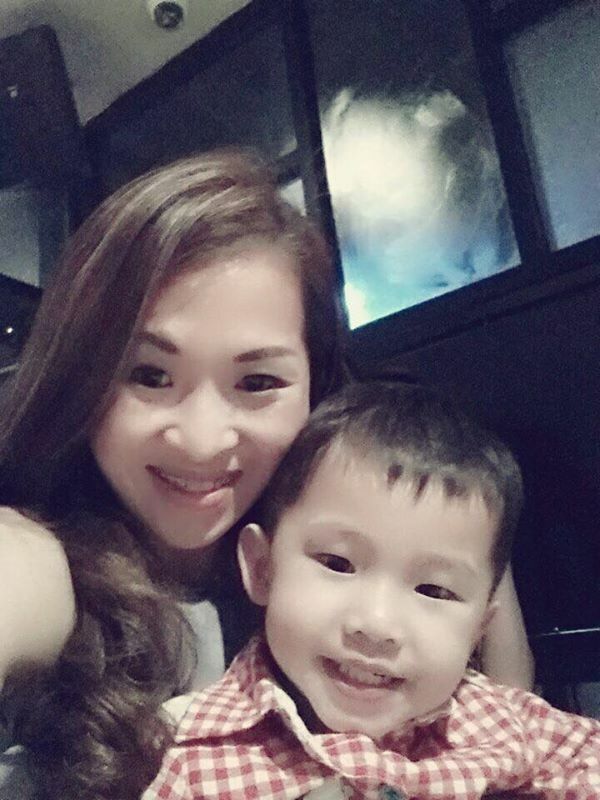 "I started Isaac at Pinoki before he started kindergarten, when he was only 2 years plus. Since then, I have seen him improving week after week. He can remember many things now. He can also calculate in his mind. Sometimes, we will try to fool him by giving him lesser cookies or reduce his game time. But surprisingly, he'll know that we have lied to him and will tell me that we have short changed him. Haha. I can't imagine my boy who used to be very sacred of classes, has now turned into a boy who looks forward to his Pinoki class every Saturday. 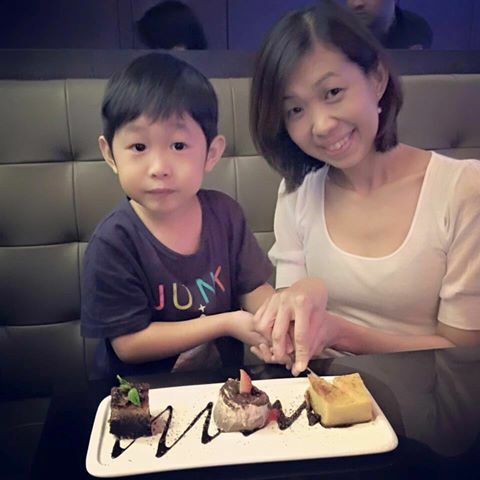 I would like to thank Alia Sensei for her dedication and effort given to Isaac." 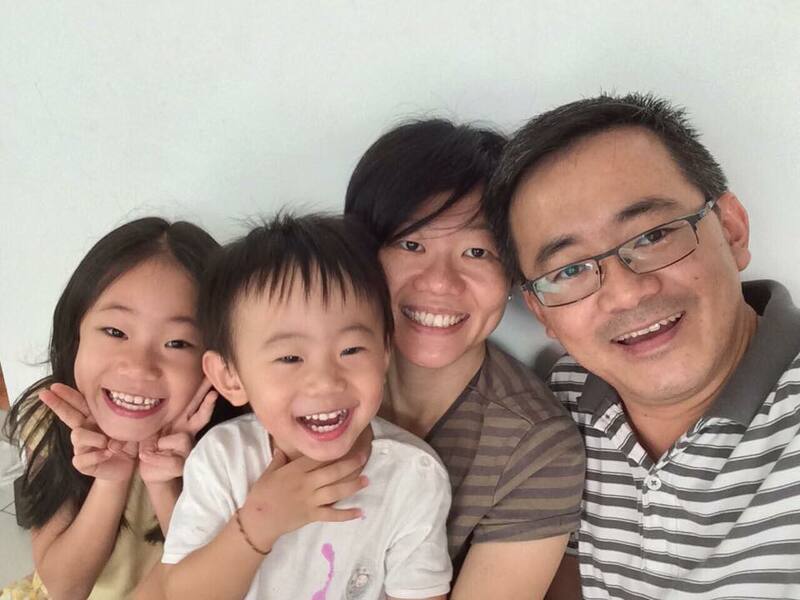 "Among my triplets, Wen Soong is the one with the strongest desire in learning and he is very open to new subjects. I believe Pinoki classes has made him even more enthusiastic, and I can see that in him whenever I teach him at home. Now, he can also count with fingers very fast and I believe the Pinoki teaching method has helped him. Recently, he also came No.1 in his class. Although the kindergarten doesn't have many students, but we are still very proud of his achievement. As a result of Pinoki, he has improved his speed in working out the answers." I am Shanice & Sheryn's mom. I am glad to share with you that upon your advice, Shanice sat for the Mensa Test in Dec 2015. 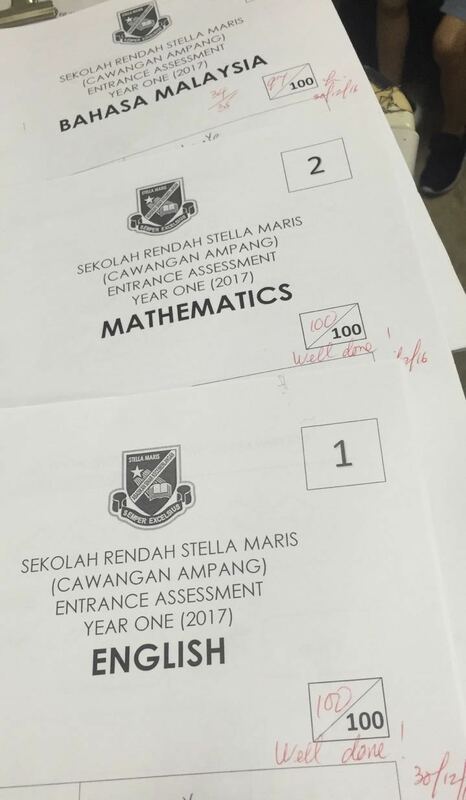 She scored 176/180 and is offered membership with Mensa Malaysia. We sincerely thank you from the bottom of our heart for bringing to light the potential in our child. 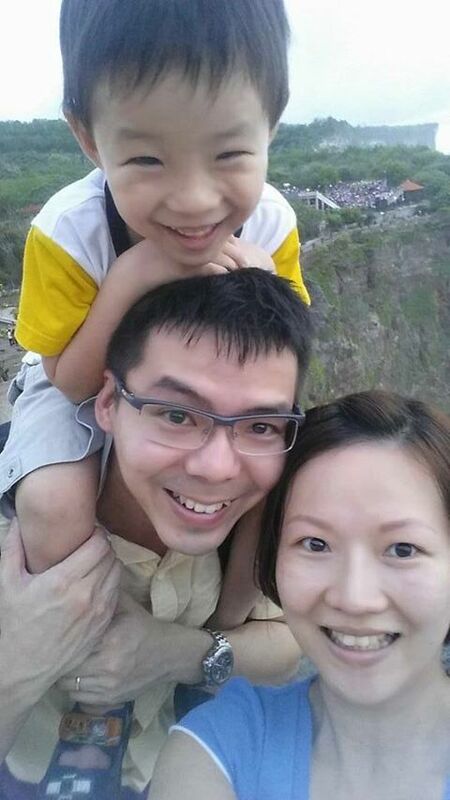 "Nathan has short attention span and it’s rather challenging to teach him at home. It’s hard for him to follow rules and instructions at times which makes it difficult for teachers to teach him. After joining Pinoki, I am happy that his concentration has improved. He can sit longer to complete his lesson in class. He is also able to abide to class rules and enjoys Pinoki lessons. Nowadays, he doesn’t give up easily and tries hard to complete his work. His teacher even told me that he will do correction when he got the wrong answer, which is something I am truly proud of." "I came to know about Pinoki through a friend. I decided to give it a try and enrolled my daughter, Wan Xuan, in July 2017. 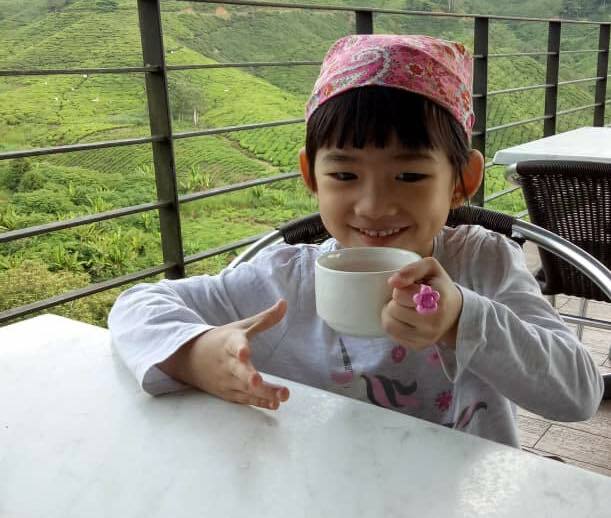 Wan Xuan is an active child and doesn’t fancy sitting for long. With just a short span of three months, my daughter has improved so much in her concentration. She is able to sit longer at an activity compared to before. Thanks to Siti Sensei for her great effort." "After spending four hours to teach Christopher for BM words on a Sunday evening, I told myself that I needed help. It was extremely stressful for both Christopher and myself. After doing some research, I decided to enroll him at Pinoki TTDI. Nowadays, I only need fifteen minutes to prepare him for his spelling tests - English, BM and Chinese. Three subjects in fifteen minutes! No more anger, frustration and stress. A better mother and son relationship as well. Christopher looks forward to his Pinoki class each weekend. It’s fun and effective learning. Thanks to JJ & Siti sensei for their effort." "My daughter's improvement has been amazing. This is the first time ever that she asks me Math questions at home. I am so happy to see this. Not only she is improving at Math, at reading as well. She can easily remember words that I taught her. And she is very interested at reading Peter and Jane books now. I normally do six flashcards with her but now she wants to do fifteen flashcards! I want to thank Hau Run sensei for making See Suan like her Pinoki class. She always tells me good things about him after class." 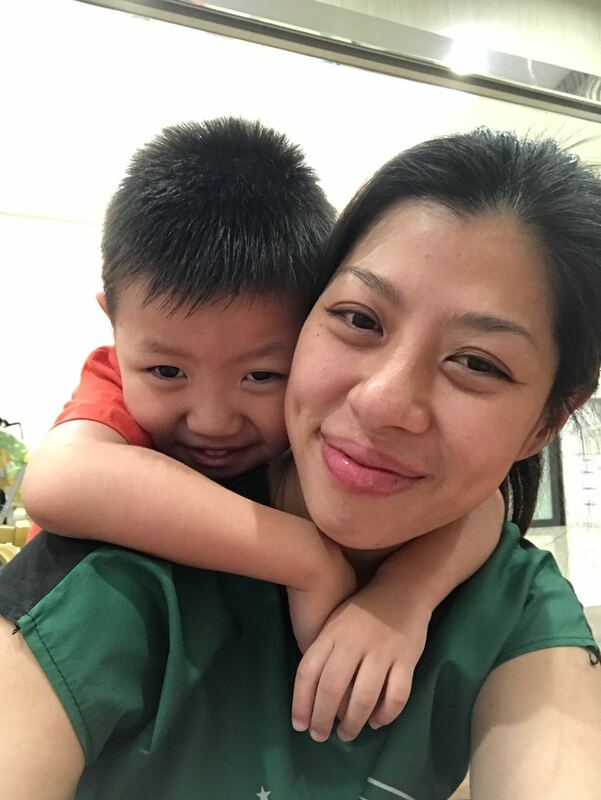 "Aloysius has always been faced with challenges in a Chinese School as we communicate in English at home. For him, learning Chinese seems foreign and requires a lot of effort. He is a happy go lucky boy and he likes activities that are fun. I decided a different approach to his learning and signed him for Pinoki lessons in March 2017. 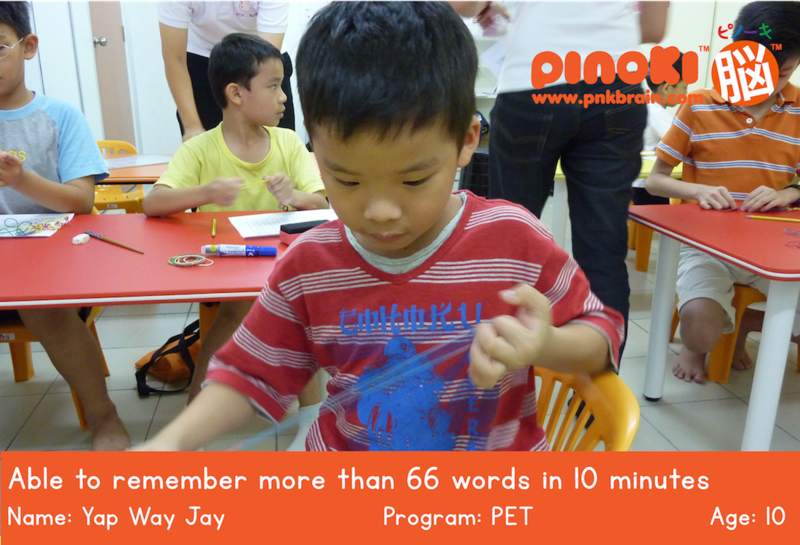 Pinoki has helped Aloysius to learn Chinese better, as he has a better understanding of the language now. He has also improved in Math. Even though he is in Std 2, he is already doing Std 3 Math in tuition class. Recently, he was awarded the 'Most Improved Student' in school. This is something that caught me by surprise, but I am truly happy. 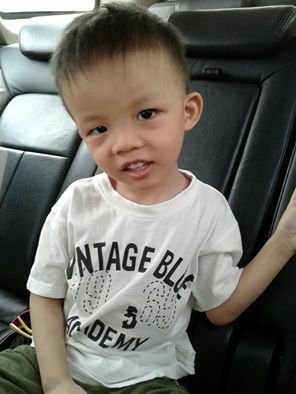 Thanks to Sensei Siti for her effort and encouragement in helping Aloysius thrive." "I see big improvement in my playful boy, Jee Fung. He really surprises me with his word memory by answering with full confidence. In the 6 months that he has been with Pinoki KD, he has improved not only in memory but confidence, as well as patience. He is better behaved now. He also listens to Sensei in class. The class is fun and he loves his ‘bargain section’ with his friends in class. Appreciate the Sensei’s effort in teaching him well in class and enhancing his memory. I really love seeing them being challenged in class, and most of all, enjoying it at the same time." 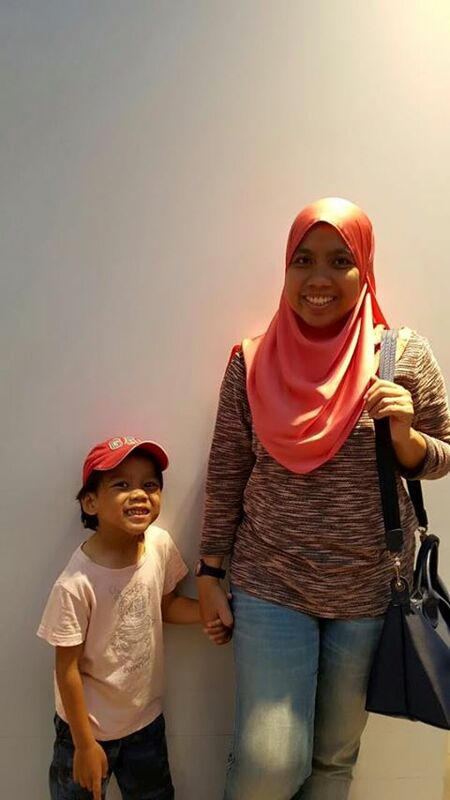 "I signed my daughter Kayanne at Pinoki Kota Damansara in February 2017, after seeing tremendous improvement for my son Kingston. My aim is to prepare her for the Primary School Assessment. 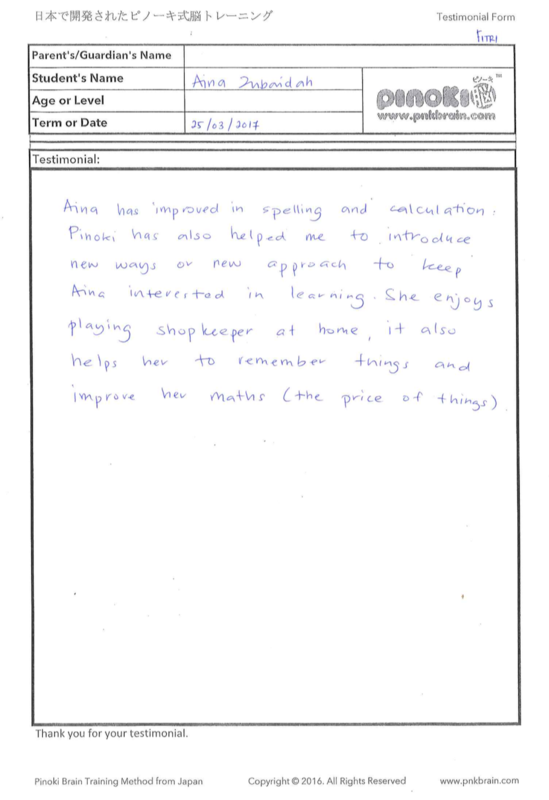 We were not expecting much results when we sent her for the School Assessment a few months back. She was always the first to finish each paper and will be resting on the desk. Even waiting parents outside the exam hall told us to ask Kayanne to check her exam papers before handing them in. Imagine our surprise when we received the Assessment results last week - Kayanne is accepted into STD 1 at Primary School & managed to get into their Elite STD 1 class as well! Wow! Both my hubby & I are elated. We are super proud of Kayanne & her achievements. She also surprised us last week at her kindergarten graduation. She received 6 Awards for her final year. Both my husband & I were speechless but truly amazed. We would like to thank Jason sensei and his Pinoki Team for their assistance." 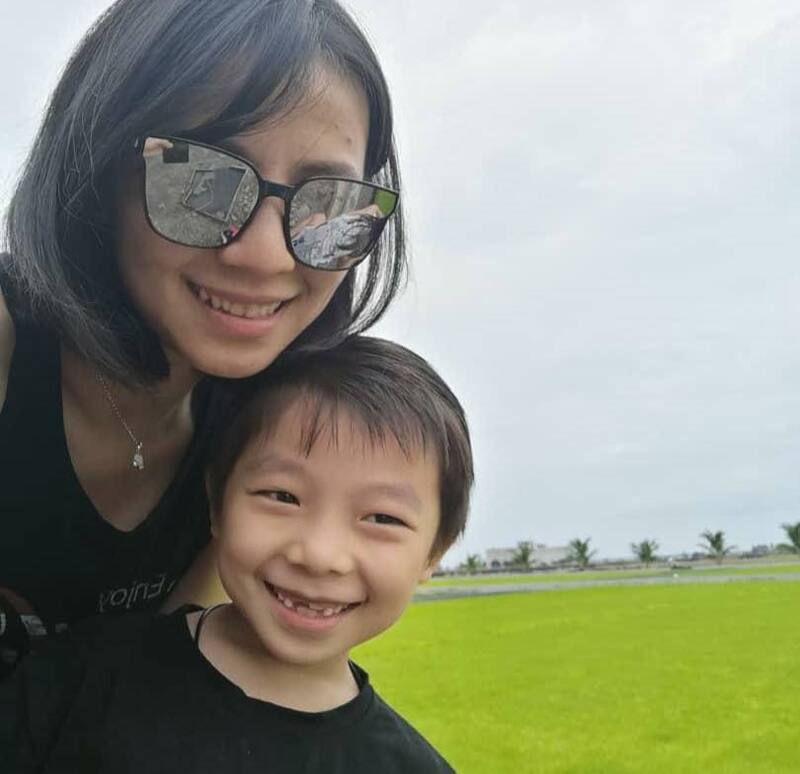 "Even though Wen Kai has started kindergarten about a year ago, I still find that his learning is not as fast as some other kids. Therefore, I insisted that we enroll them at Pinoki in Kota Damansara, hopefully they can help improve his studies. After 3 months of Pinoki lessons, I am very happy with the progress that he has shown, especially his increase in confidence. He is also able to identify different phonetic sounds now. Previously, he was more uncertain with his studies but now he is more confident. He is also more eager when it comes to learning at home and in kindergarten." "Last time, Zackery used to have his stubborn streaks and it was almost impossible to teach him, when he doesn't want to be taught. His kindergarten was complaining about him every now and then, and I was getting tired yet worried at the same time. Nowadays, I have seen a huge difference with him. He is more stable and his tantrums has reduced. His teachers have also told me that he is progressing well in kindergarten, both academically & emotionally. 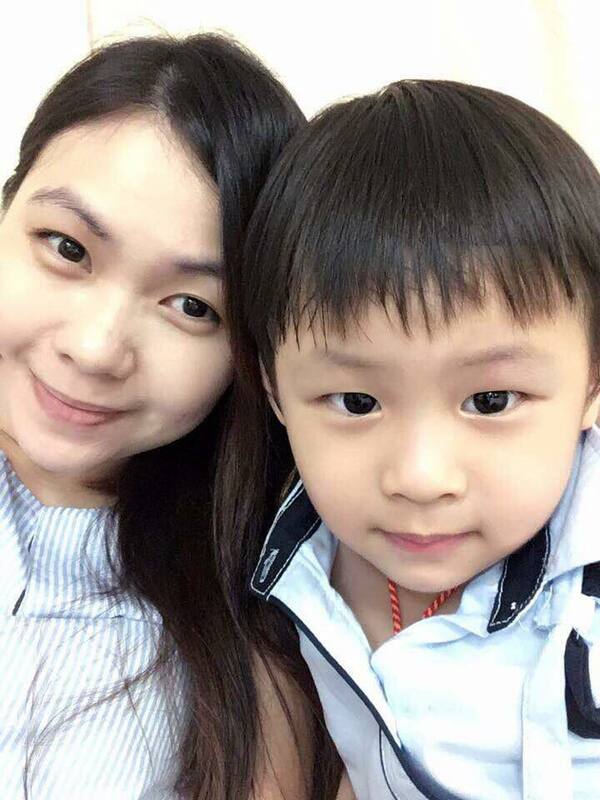 His learning has improved steadily and he is able to practice self-discipline now. Also, teachers commented that his memory is good. Sometimes, he even caught us by surprise with certain big words that he used. Another thing that I am very happy about, is the fact that that he can do homework by himself now. An act which used to be impossible. Thank you Pinoki and Kelly Sensei." 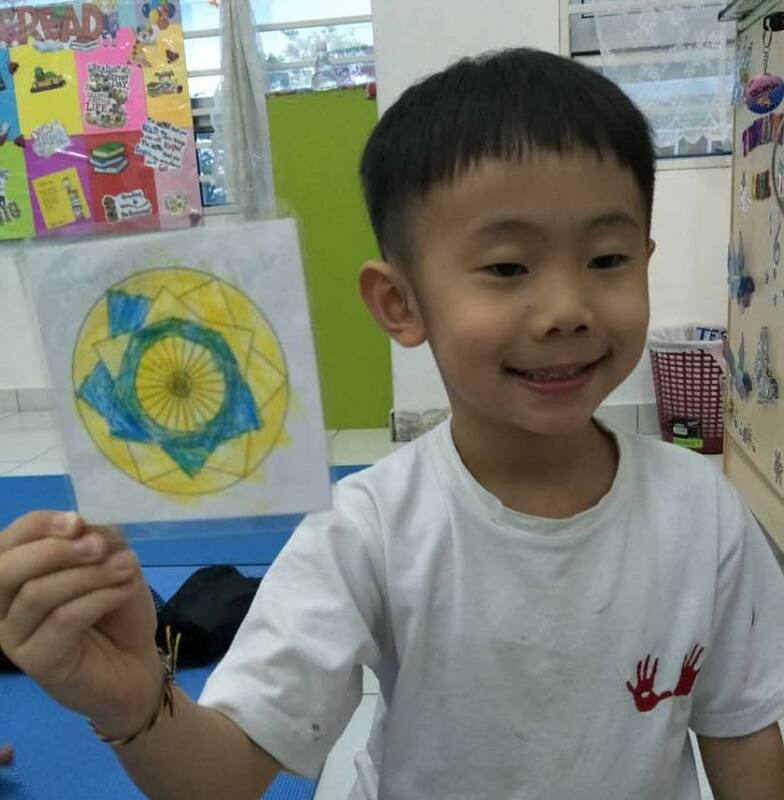 "Wallace is a very creative boy and he loves to learn. We have been trying many ways to enhance his learning skills. He doesn't like things to be repeated and he will think it's waste of time. He loves to learn new things. But how many new skills can we provide him in order to make him have interest.. in mathematics particularly? A good friend of mine, Joanne introduced PINOKI to me when we first came back from overseas in 2013 but Wallace was still having a hard time adjusting himself into our culture here, so it didn't cross my mind for him to enrol with PINOKI. He is now in primary 3. 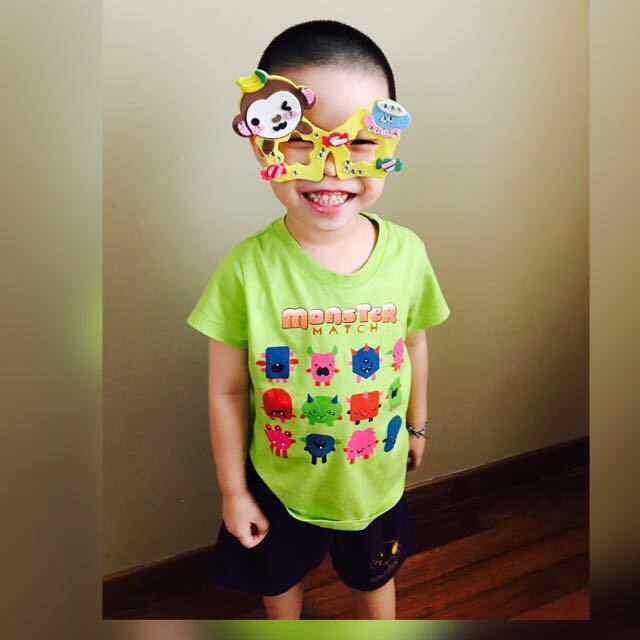 He just joined PINOKI during the year end school holiday programme in 2015. He loved it so much that he told us we can cancel another mathematics enhancement class for him, which he used to enjoy it till later when he's into higher level with extra worksheets practice. That method did help him improve but he is not interested to go anymore with the volume of the homework given in higher level. I have seen tremendous improvement in him to challenge himself with repeated works at school. Mathematics subject is the most worrying subject to us if a child had lost his/her interest. At the age of 8 now, he could answer timetable in random sequence, we threw any combination to him, he got it right. That's amazing for a creative child who loves only art related subjects. Besides that, comprehension for him has been getting more exciting, as he will comprehend it with pictures he drew from his understanding. Even though he is not allowed to draw during English subject lessons at school but he told me he pictured them in his mind and that's how creative he is. I am thankful he is part of PINOKI now. It helps him to manage all sort of challenges with his favourite creative artistic method. Would like to take this opportunity to thank the whole team of senseis in PINOKI TTDI for making it a fun learning place for their students." 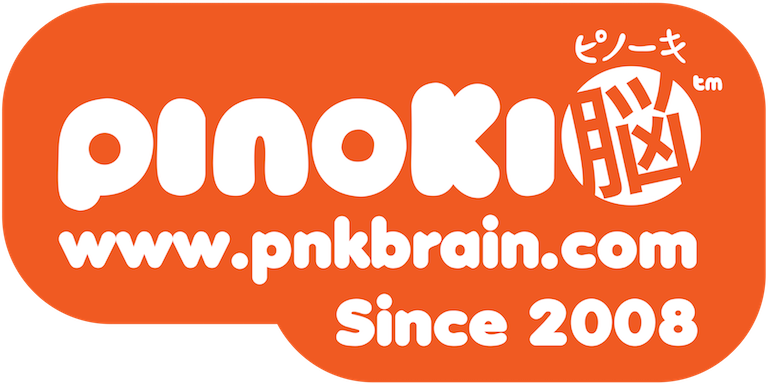 +Pinoki Brain Training Program leverages on a Japanese whole-brain learning method to improve children's memory and learning ability. +For ages 3-4, you can see results in 3 months. "I have always been concerned about my daughter Crystal as she has low self confidence and shy to answer even she knows the answer. Joining the Pinoki classes has helped Crystal gain confidence. She attempts to complete her school work and answer questions posed to her confidently. I am so proud of her achievements!" "Ethan wasn't doing well in Standard 1 last year, that's why I wanted extra classes for him. One of my friend recommended me to find out about Pinoki Brain Training program. Apart from tuition, I also let Ethan join Pinoki in Kota Damansara. After 3 months at Pinoki, his improvement is better than I expected. Previously, he seldom tell me what homework he had and what were his friends' name. I was worried whether he was learning in school. 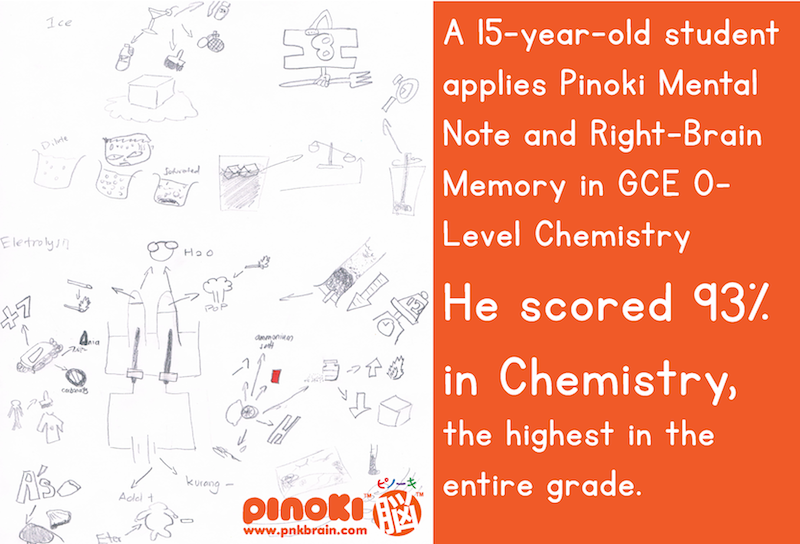 After joining Pinoki, he can copy down all the homework given by school teachers. He also tells me who his friends are and what they talk about in class. He is more sociable and able to communicate better. His tuition teachers tells me that Ethan is more eager to learn now. As a result, his studies has been improving steadily. I am very happy to have found Pinoki." "A year ago, Graham was very energetic and can't sit still. Because of this nature, his learning in kindergarten was also average. Recently, I have seen an improvement in his concentration. He is able to give full focus when doing learning activities. He is also able to read more words nowadays. His learning has improved as a result of better concentration. The other thing I noticed is that he is very creative. When he plays with Lego, he would build all sorts of structures which is not according to the Lego box. He would create his own buildings, like construction sites. His school teacher was impressed that he could use simple blocks to make an airplane." "My daughter used to have issues remembering and recognized words while reading. When I did revision with her, she couldn't read her kindergarten year 3 English books. She usually lose concentrations very fast as a "kinesthetic child". Unfortunately I am a visual person. Teaching an opposite type is always my problem that I have to do activity while teaching, it is a tough moment for me to handle. Pinoki Kota Damansara's principal Jason Thong gave me guidance on the correct teaching methods. He taught me how to use flash cards to train Shevaun while at home. It worked very well. 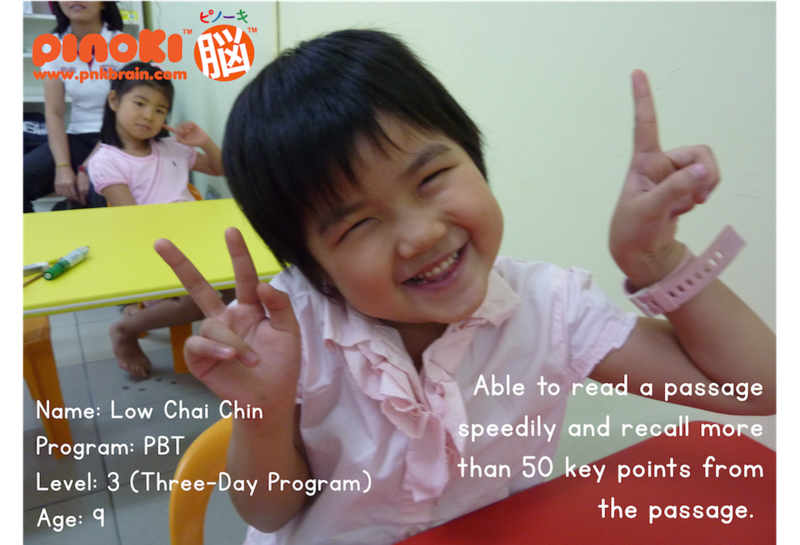 Today, she can read books without pausing and her memory skills have improved. My daughter is 5 years old and she'd been with Pinoki almost 2 years now. I'm very impressed with the result, and it has increased my confidence to continue the teaching methods adopted and let her excel within her own capabilities." 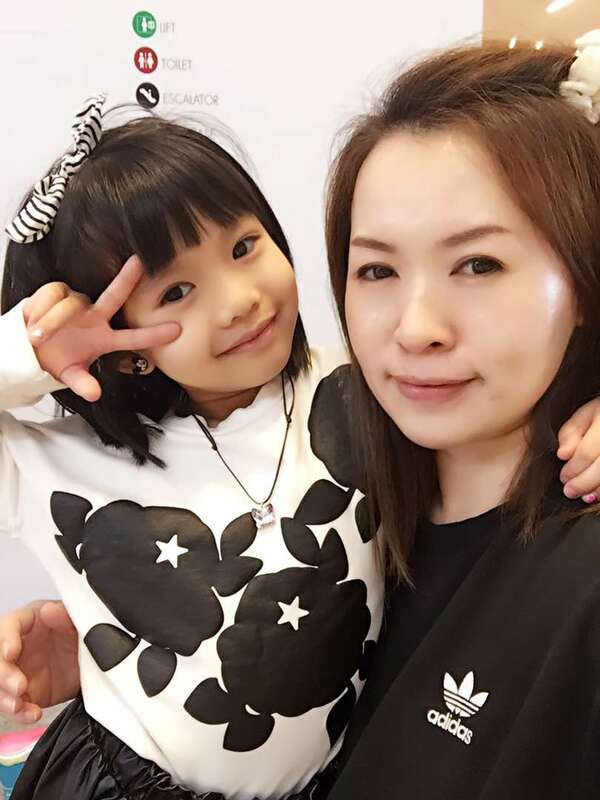 "I have always been more concerned about my younger daughter, Zi Xuan, as she is emotional and gets distracted easily. When I signed her up at Pinoki Kota Damansara, I wasn't expecting much because for me, as long as she enjoys the class that is what matters most. 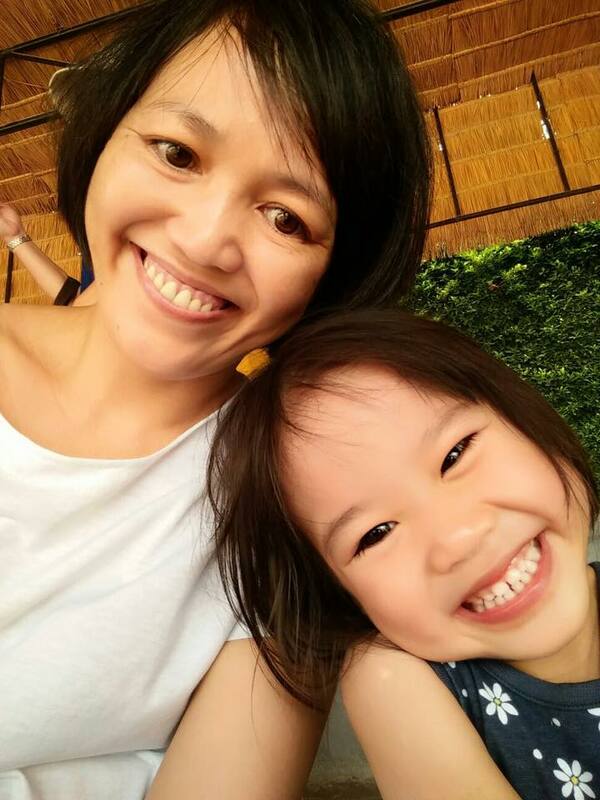 A few months into Pinoki, I was pleasantly surprised when her kindergarten teacher informed me that Zi Xuan can learn faster, and her attention span has also increased tremendously. She can grasp the lessons taught in her kindergarten easily & her teachers are amazed by her progress within a short span of time. 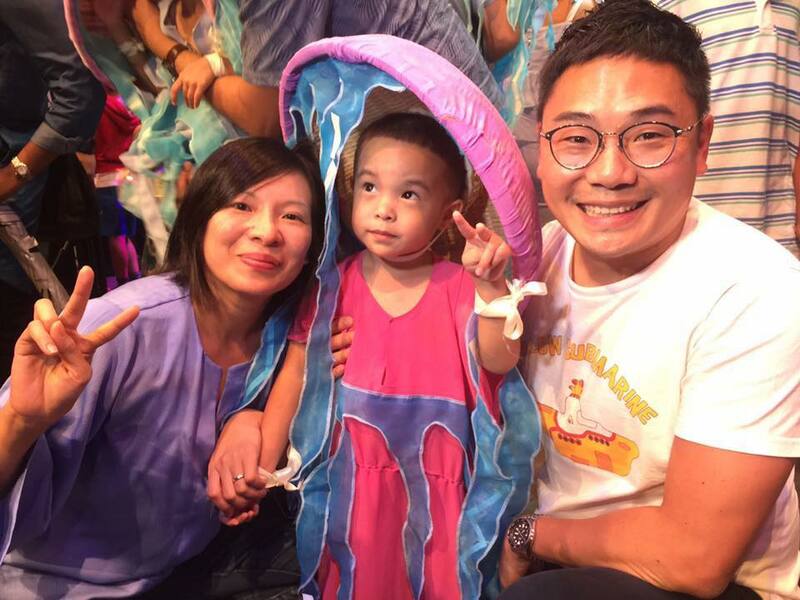 She likes her Pinoki class very much and looks forward to it every weekend." 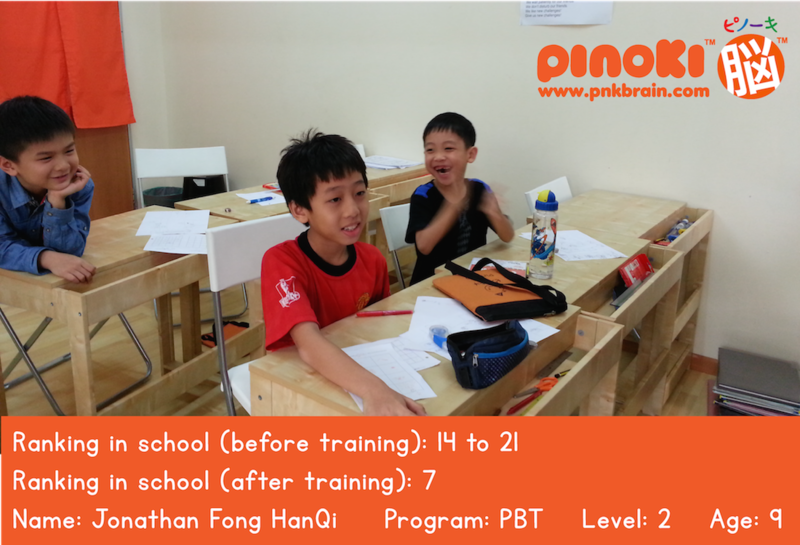 I am very happy to see Jonathan’s positive transformation after attending Pinoki lessons. His concentration has improved and more importantly, he has gained self-confidence. He used to shy away from attempting anything new especially math questions. But now, he is willing to attempt and is able to answer math questions posed to him correctly and confidently!! It is truly an amazing transformation. 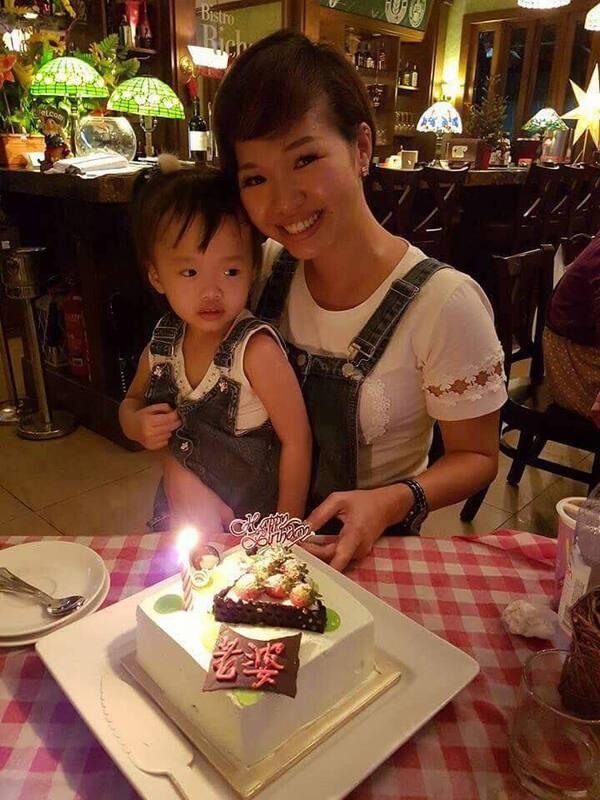 "My daughter Jing Ru turned 2 in June 2017. I wanted her to join a school that she can learn & most importantly enjoy at the same time. It’s not an easy task as she has an extremely short attention span & is selective in her activities. 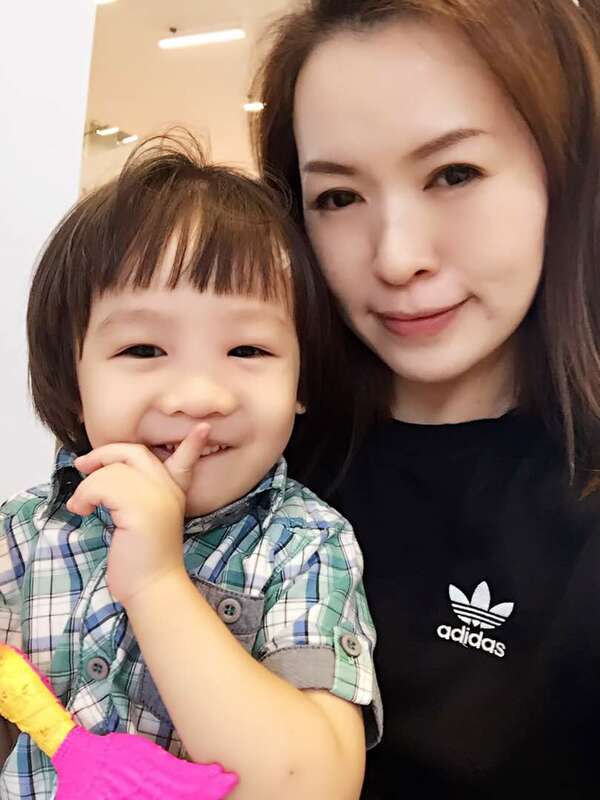 I joined Pinoki TTDI’s Toddler Program in October 2017. I was alarmed to see Jing Ru not being able to last less than 30 seconds in almost all activities during the class. She also refused to do certain activities that she finds uninteresting. 3 months in to the Program and viola ... Jing Ru has improved beyond my expectations. She can remember short words, images and most of all her attention span has lengthened. She complies to class rules and participates in all activities. "We sent Zee Yu to Pinoki KD when she was 3 years old, for her to experience school and to mix around with other children. 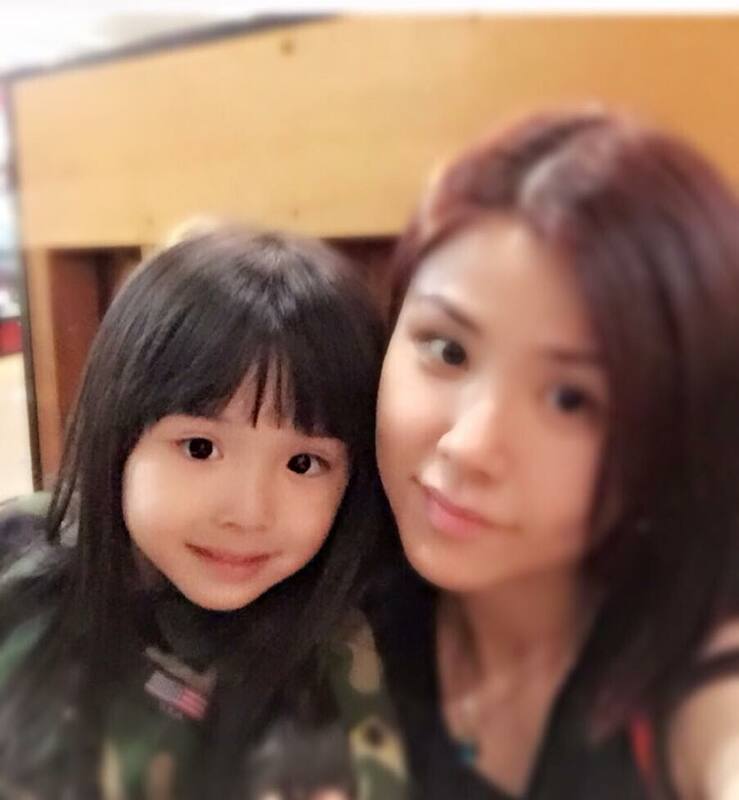 Zee Yu not only enjoys her classes but we have seen improvement as well. She can do basic Math now and her memory is getting better. We are glad to see her happily learning at Pinoki." "I wanted to quit Pinoki when my twins turn 7 this year. They have been wt Pinoki KD for 3 years now. I feel that brain training may not be effective at this age. I decided to stay on for a few months just to assess their progress. 3 months into the Senior Program & I was in for a shock. Jozka came back home without his Math Homework. He told me that he didn’t have enough time to copy the Questions written on the whiteboard. He surprised me by writing out the 8 Math Questions at the study table that night. He remembered the Questions! It all came back correct a week later. This week it happened with his English spelling. Jozka didn’t manage to copy the words in school. That very night, he wrote down the 5 words for me & asked me to do revision with him. I am thrilled that he has the ability to recall his school work. It certainly cuts down our daily Homework Revision time. It’s also less stressful compared to before. Thanks to Kim sensei for your guidance in teaching my children. I am glad that I stayed back in Pinoki!" "My 5 year old son, Lucas, is a happy boy who doesn’t like to sit still and has very short attention span. My husband & I attended Lucas’ Parent Teacher Meeting last week. We were both pleasantly surprised to receive positive reviews from all the Teachers in his kindergarten. Teachers informed us that his attention span has improved and he can stay focus for a longer period now. 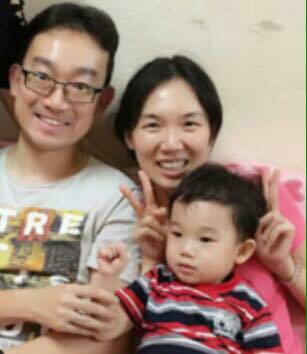 We are really glad that we enrolled him at Pinoki TTDI four months ago. 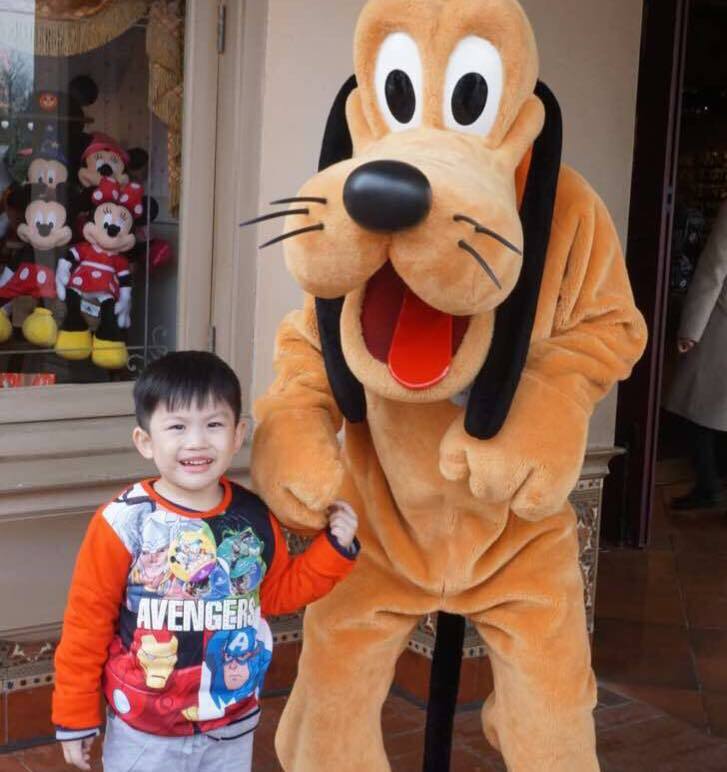 Their fun and happy teaching method has helped Lucas! 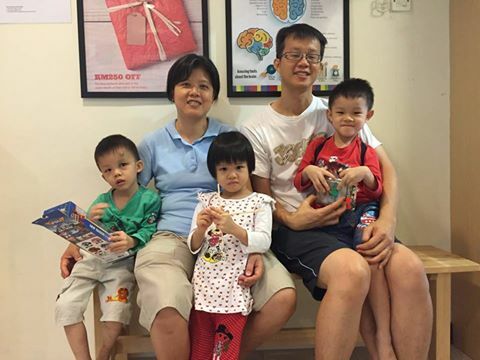 Pinoki has also helped us understand Lucas' learning preference and his homework time is no longer a struggle for us." Just to let you know that you are always on my mind... I was thinking of letting Anson pursue something different in life but my heart hesitated. I always feel thankful for all the supports you have given us. Sincerely thank you. We were worried about Ethan initially because we were afraid that he may not learn much in Kindergarten considering that he was slow in his speech skills or he was 'slow' to speak. We were glad to see that after 8 classes, he was able to recognise some words from KE1 and confidently identifying the words and characters on the cards. 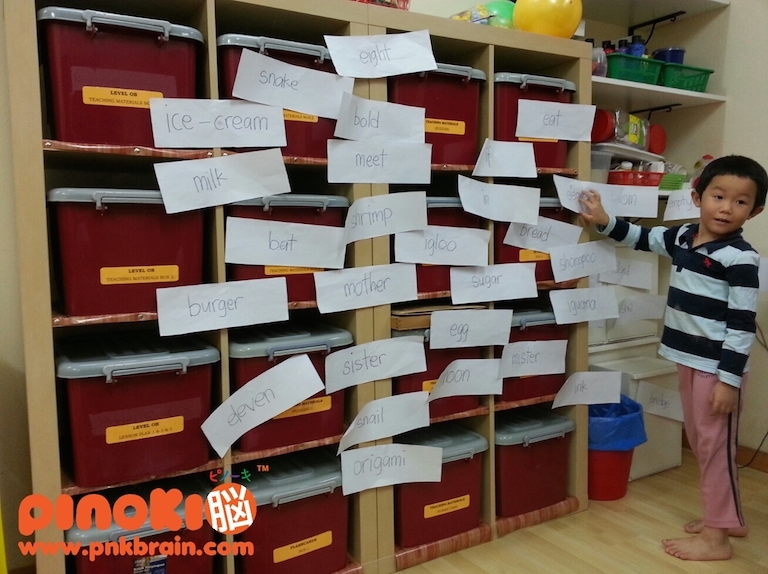 We hope that Pinoki would be able to help him improve his speech skills. Keep up the good work! "Simone was struggling a lot with Math and memory issues. I simply could not comprehend and was once helpless trying hard to get her remember simple facts which I mentioned to her few seconds ago. I thought child as young as her should naturally have better brain memory than an adult like me. 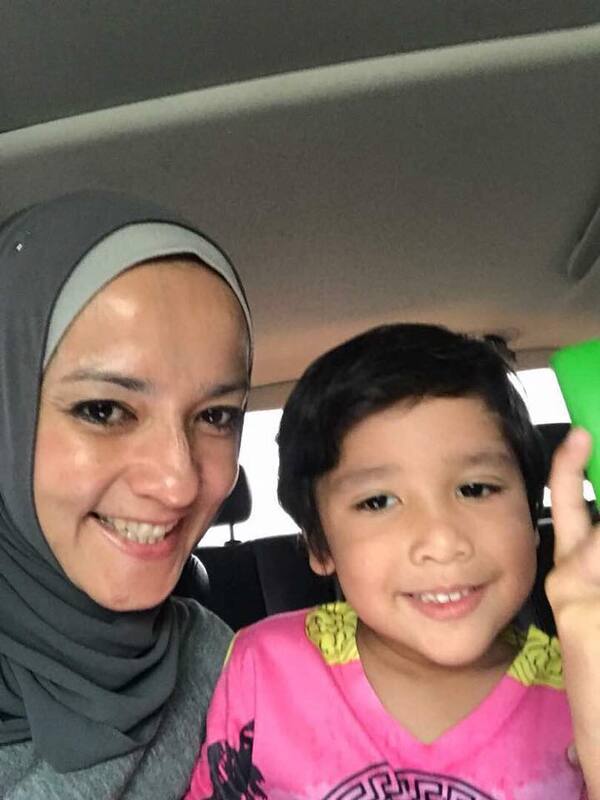 It was not until I brought her to Pinoki at TTDI to have the assessment, when I found out that she is a right-brained child and could draw pictures from memory in great detail. I was also told that Simone could take in information better by listening more than seeing. Things really turned around for Simone when we started to see her handling Math problems more positively, and remember things better with her already good picture memory and auditorial skills. I would say the main area of improvement for Simone is her processing speed. Now Simone is able to absorb information and quickly turn the information into images in her brain to help her remember facts. Simone looks forward attending Pinoki classes. 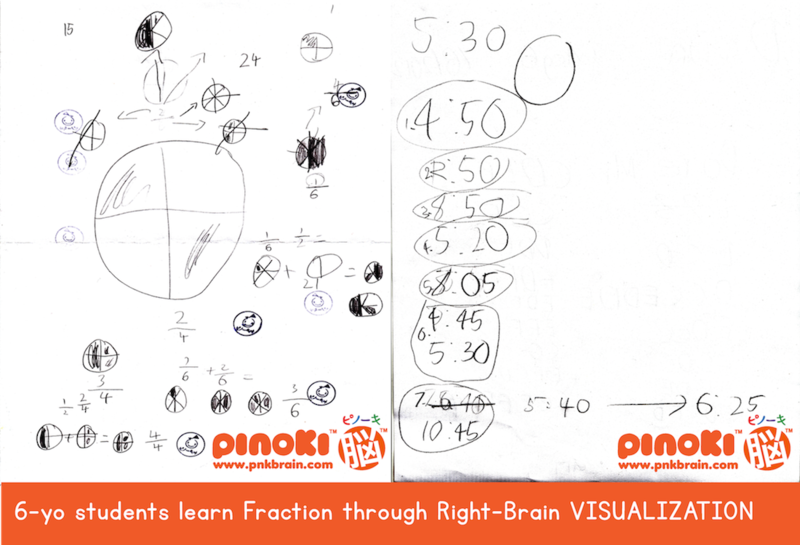 Despite there is a good mix of right and left brained children in the class, I noticed that Pinoki is able to use its material to get the children to learn using their strengths, and work their best to memorise and organise their thoughts solving the problems." 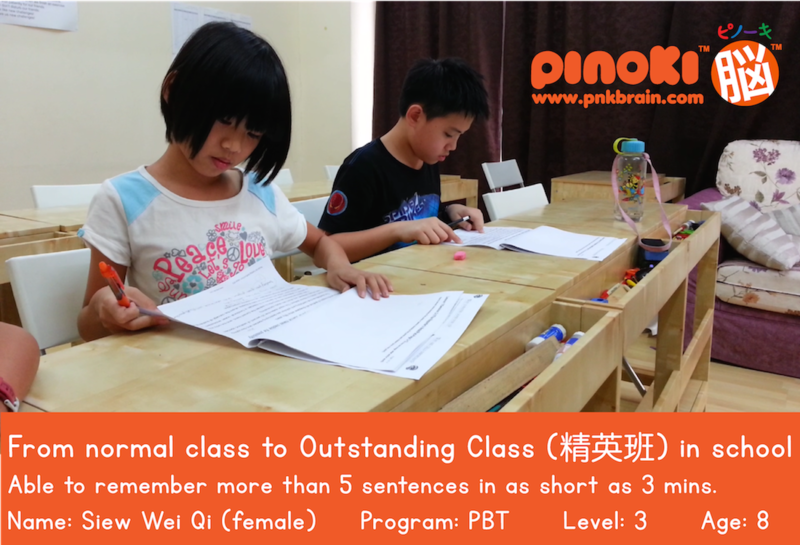 +Pinoki Brain Training Program leverages on a Japanese whole-brained learning method to improve children's memory, learning ability & self-confidence. Watching Howard progress in Pinoki for the past few months, he had been improved in his language, speaking & memory skills. He can even calculate simple calculation & enjoy counting. 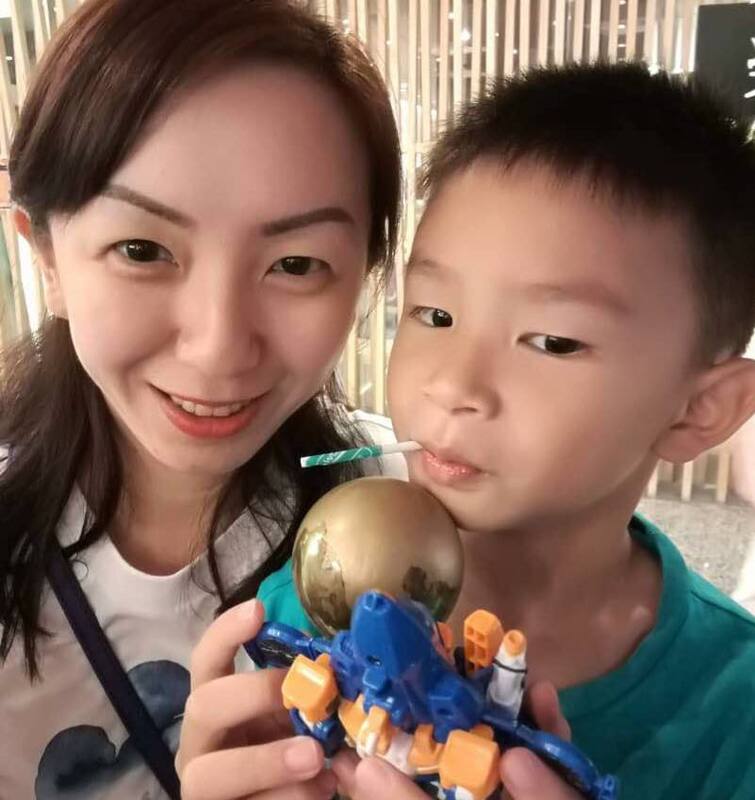 He used to practise with me when we are at home using Pinoki brain training method, like flashcards, memorising picture, matching wordings and calculate dots, ...etc. I think besides all the development skills that he has gained, he really loves the class teaching environment with his friend and teachers. Even sometimes he was tired after school day class, when he arrived at Pinoki, he showed a happy face. My son, Graham, likes to move around and has a relatively short attention span. 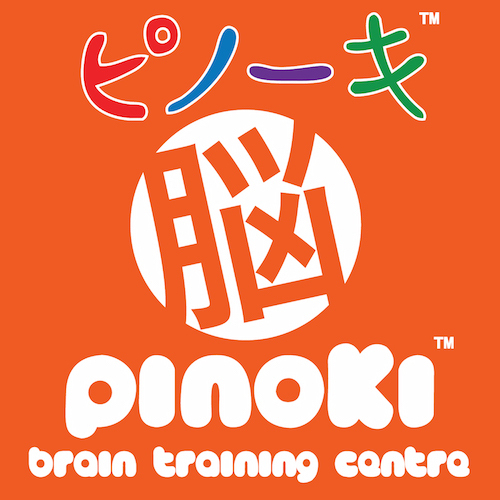 I was looking around for a Brain Training Centre and decided to give Pinoki a try. 3 months into the program I noticed favorable changes in Graham. His focus has improved and he is now able to spend more time in an activity compared to before. Prior to joining Pinoki, it was a challenge to get him to read the Peter & Jane books even the 1A book. Nowadays, he is reading the 2B book and has no problems reading the entire book. Not only can he read but he can also recognize up to 10 words of Flashcards in one seating. Graham likes new activities to keep him interested and Pinoki managed to do just that. The play and learn activities in class intrigues Graham and he looks forward to his class every week. The transformation that I see in my boy really makes me very happy and proud of him. 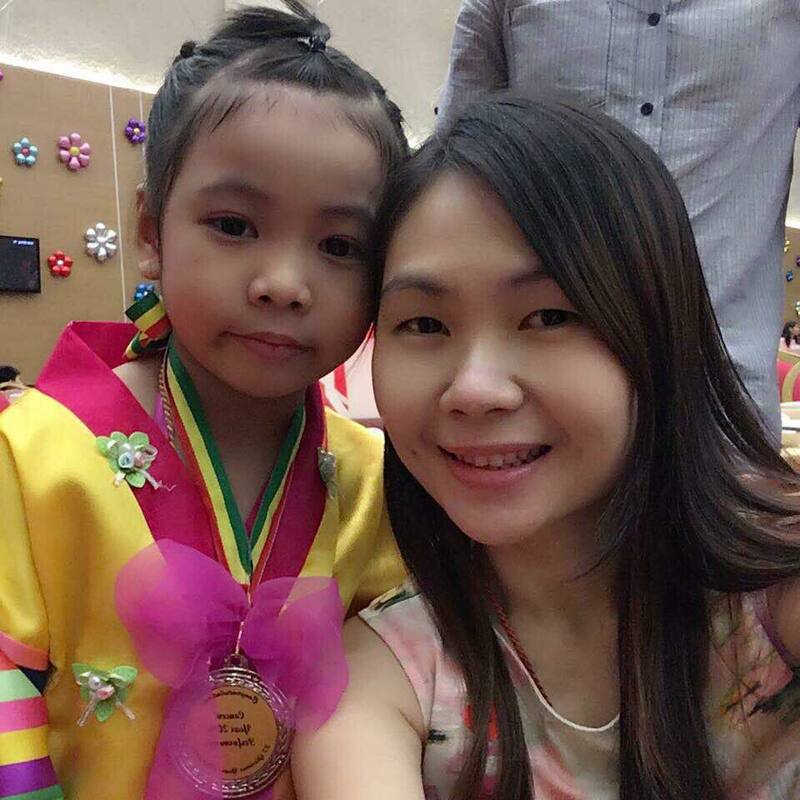 "I enrolled Jing Jing to Pinoki in early 2016 with the main objective of improving her creativity & confidence, especially in her drawing skills. And I have personally witnessed her improvement during the course of her participation at Pinoki classes & am delighted with her progress. During the assessment session held at the last Parents-Teachers Meeting on 15th Jul 2017, she was able to swiftly draw out pictures to represent the words which the sensei mentioned without much hesitation. 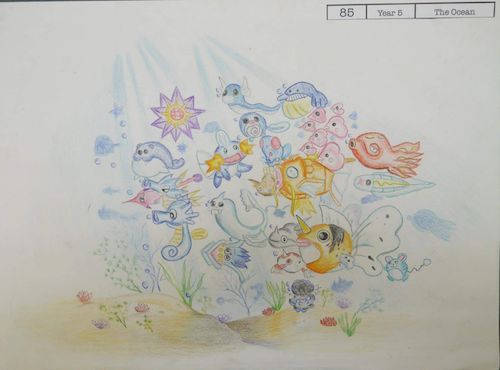 This showed her improvement in both her creativity & confidence level, as compared to when she first joined the class. I am truly proud of her as a parent & wish to express my gratitude towards all Pinoki Sensei - especially Sensei Ria who has guided her thus far." "A friend of ours recommended Pinoki to us. We were looking for a Centre that could help Pei Yang on his short concentration span and his low confidence level. Pei Yang is in his 4th month at Pinoki now. So pleased to share that not only has his concentration improved, his learning desire has also increased. It's so much more easier to teach him at home compared to before. I don't need to spend so much time teaching him as he is able to grasp his lesson easier now. He looks forward to his weekly classes at Pinoki." "Duta joined Pinoki in May 2017, at the age of 4 years old. He's impatient and has a short attention span. When I signed him up, I wasn't expecting much because of his age and I wanted him to just enjoy the activities and lessons given. Surprisingly, a few months later I started seeing major improvements! I am very happy now to see my son being able to complete a task with minimal supervision, more focus, settled and he really does enjoy his classes in pinoki. I am really grateful and thankful. Again, thanks Pinoki for the effort." "Within a few months, I noticed remarkable improvement for Jumica. Her concentration and focus is very strong now. She can learn fast. Before this, her Math was weak but the improvement has been very good. Our homework time has shortened compared to before, and I am so happy about that. I recently uploaded a video of Jumica on Facebook, and my friends were so amazed with the power of her memory." 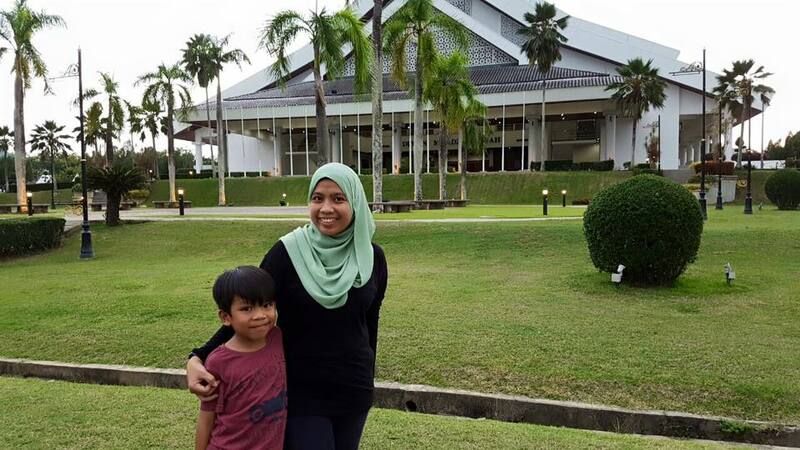 "I am so impressed with the abilities that my son has gained after a year in Pinoki Kota Damansara. His confidence has improved. He doesn't doubt himself anymore, and can speak up just like his elder brother. Even his father is happy with his improvement." A year ago, Alyssa joined Pinoki TTDI. 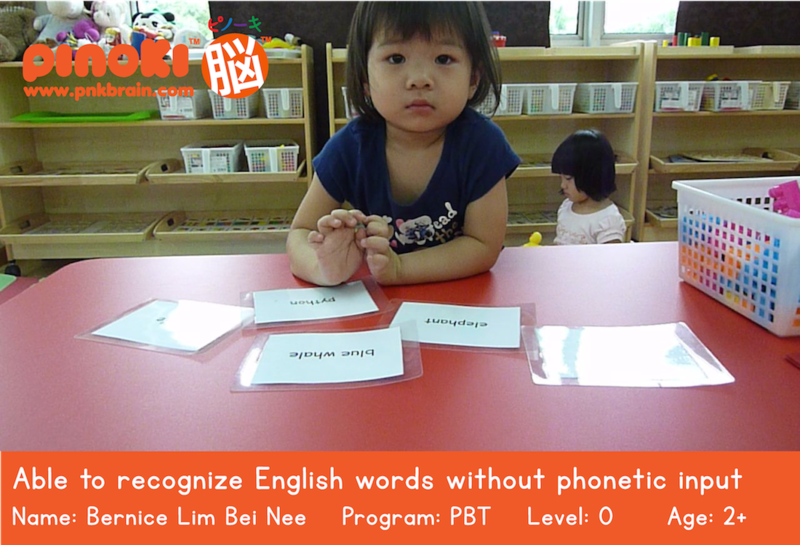 She has shown vast improvement in her understanding eg before she attended Pinoki, she did not know what a phonics was. Now she comes home, she can read and shares with us all the stories that the teacher have read to her. She can even share what is happening and learned in school with us. Also, her mathematics have improved a lot. I would like to thank sensei Q for all her hard work and patience for guiding and teaching Alyssa." In earlier assessment, my son is diagnosed with very mild autism. He is a very hyper boy. He refuses to mix with other kids and count not express his own feelings. He even has certain skills delayed. Sensei at Pinoki are very understanding and attentive. They give a lot of attentions to him and guide him. 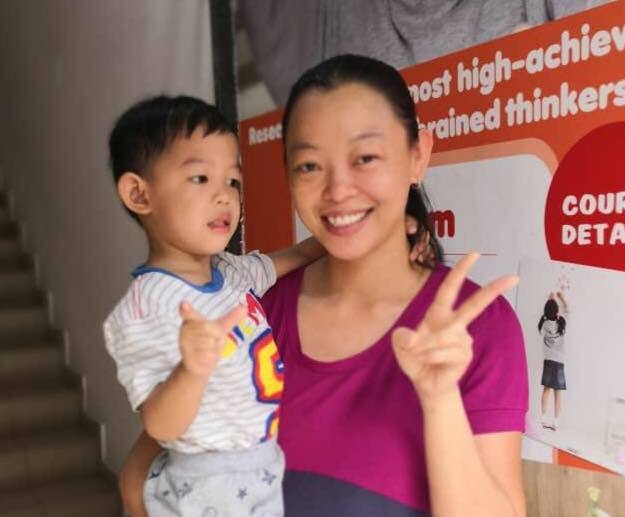 Dr Tan and sensei will try many different methods to guide him and choose the most suitable one for him which help in his learning and development. Javier has been in Pinoki for two years plus and he loves going to his Pinoki classes. Javier has learned so much and continues to learn more and more in each class and explores through many learning styles. I am very pleased when I noticed how much he has progressed. Even me myself also look for Pinoki's sensei for answers and guidances in helping my son. We are very glad we have sent our daughter to Pinoki. About a year ago, her vocabulary were 'extremely' limited. Now, she can easily deal with at least 400 words and more. We saw so much improvement in her reading skills. There were many occasions where she has read on to us randomly the words on advertisement and explained to us what it meant. However, we would like to see her improve her mathematical skills where she is lacking. Keep up the good works! HE WON'T BE SO GOOD WITHOUT THE TRAINING AT PINOKI MAHKOTA CHERAS! 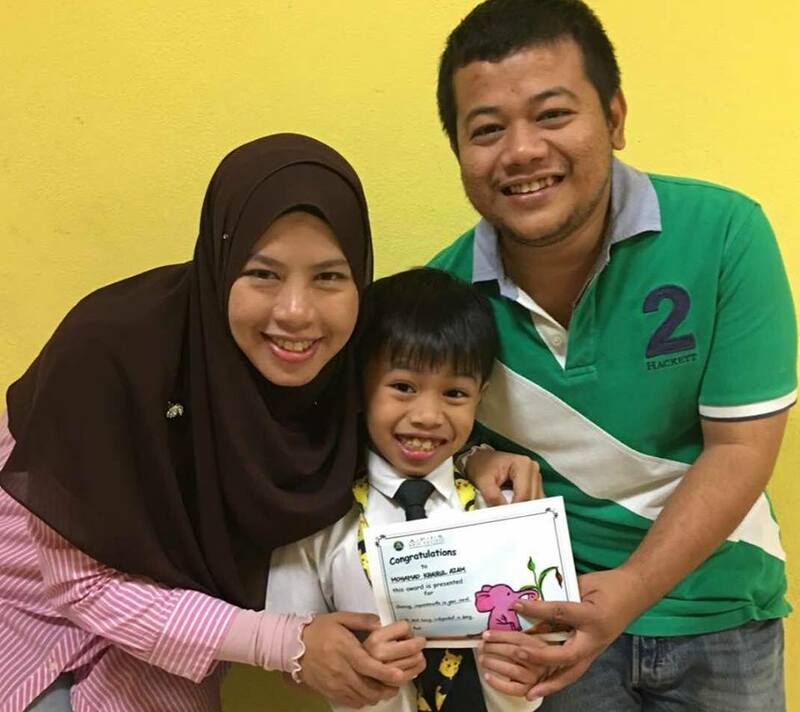 Ian’s kindergarten conducted parents day to discuss his first semester progress with us. His teacher said his performance is above average. Teachers are impressed with his good memory and observation. He also can focus on teacher’s teaching. Here we want to express our sincere appreciation to all the sensei, Dr Tan and you. He won’t be so good without the training at Pinoki Mahkota Cheras. We really thank Pinoki training very very much! Even Bahasa Malaysia he also can master it well! My son join Pinoki Toddlers Class since 6 months ago. We did notice his improvement after attending the class such as more independent and able to listen to instructions. I would like to say Thank You to Miss Ong and Teacher Yen for their advice and efforts. PRINCIPAL AND TEACHERS ARE FRIENDLY AND LOVING! Principal and teachers are friendly and loving. My boy loves going to Pinoki and likes to read Pinoki materials at home as well. 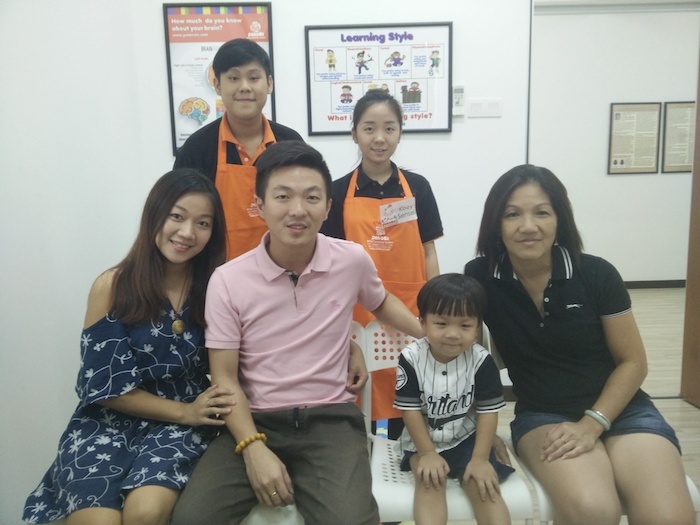 Ian's kindergarten conducted parents day to discuss his first semester progress with us. His teacher said that his performance is above average. Teachers are impressed with his good memory and observation. He also can focus on teacher's teaching. Here we want to express our sincere appreciation to all the sensei, Dr Tan and you. He won't be so good without the training at Pinoki Bandar Mahkota Cheras. 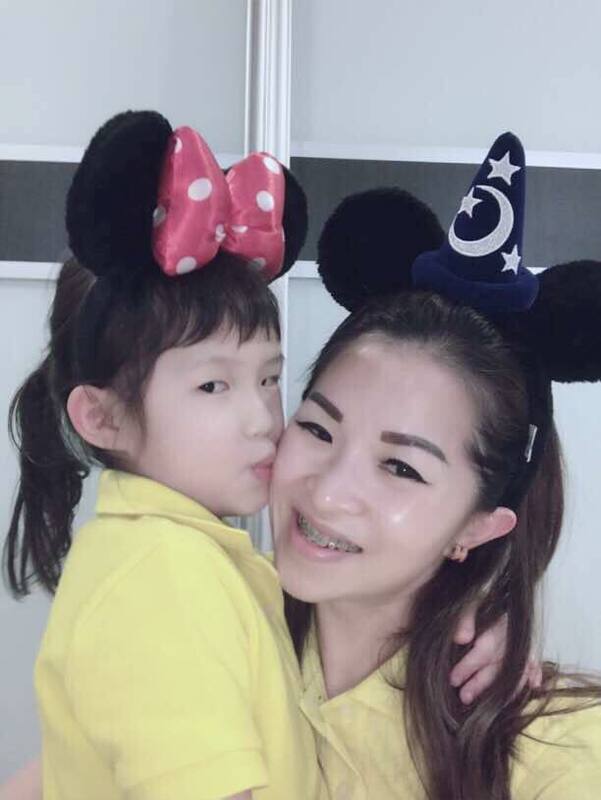 After Jun Chyi joined Pinoki, her memory has improved a lot. She enjoys the class very much because she likes to learn and sensei gives a lot of attentions to her and guides her. I'm so happy to see her concentrate better. Thank you, Pinoki. Testimonial given by Jun Chyi's Mother. Yesterday, I met with Anastasia's mum. Both of us can't stop praising Pinoki. For 2 hours, we non-stop discussed how our kids are performing better than average kids because they are getting Pinoki Brain Training. We really thank all of you so so much! Especially you, Pei Chin sensei. You sacrificed a lot fo all the kids. Sure you will have a lot of karmic rewards. Of course Dr Tan also very important. But if you don't bring Pinoki to Mahkota Cheras, we won't have the chance to get to know this fantastic program. Ian's mother whose son, Ian, started attending Pinoki class at the age of 1+ yo. "Thanks for update and helping Zong Hong. Appreciate kind gesture and assistance. You have a great team. ????" 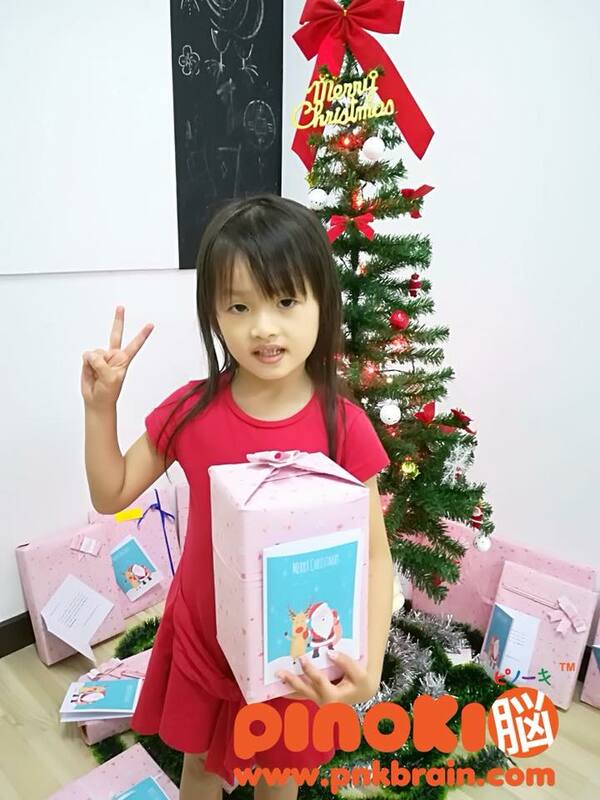 "Heidi’s kindergarten teacher commented that she has huge improvement after joining Pinoki. She is able to concentrate now and is also count during class. Thanks to Sensei Siti for her guidance." 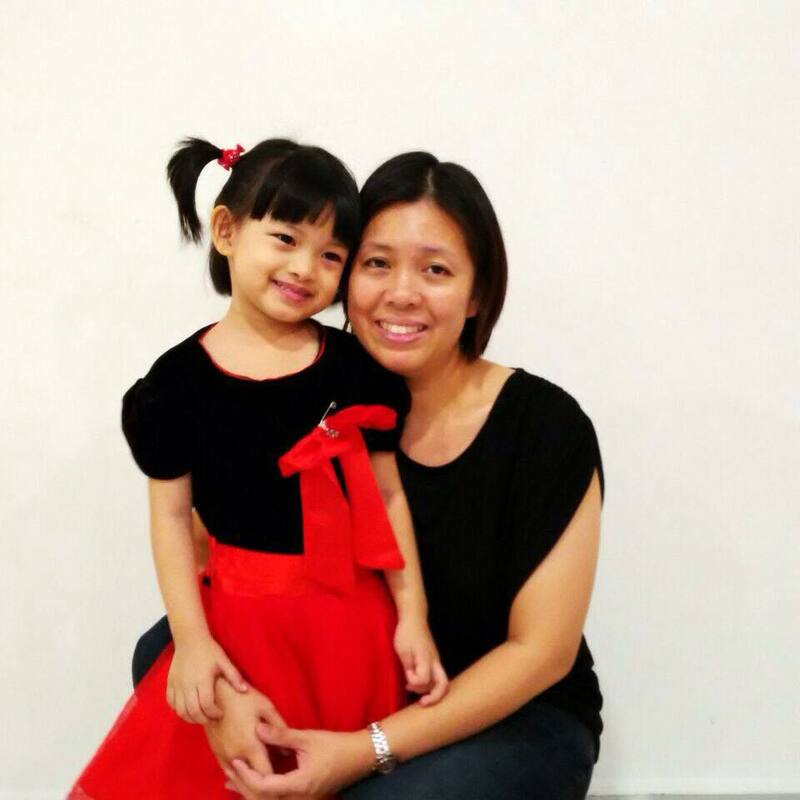 "Heidi’s kindergarten teacher saw huge improvement after she joined Pinoki TTDI. She can concentrate and count now. Thanks to Siti Sensei." "My grandson was low in confidence and unhappy before joining Pinoki. After joining Pinoki Kota Damansara, he slowly turned into a happy and jovial boy. His confidence has improved a lot. School teacher told me that he dares to raise his hands in class now. This month, he is going to perform a dance at his school's concert. I am so proud of him. Thank you Wei Yin sensei for guiding him in Pinoki." 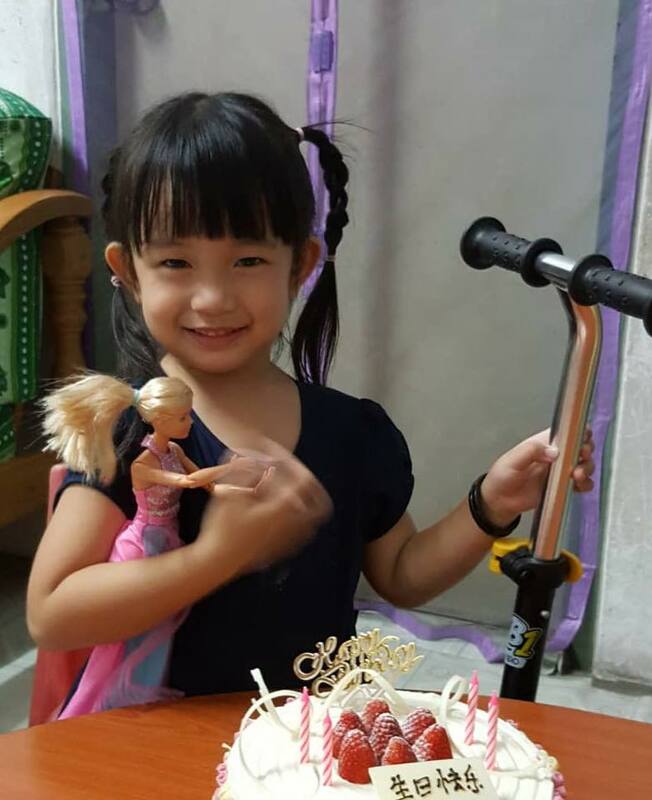 “After 4 months in Pinoki KD, Mikayla is more confident & able to recognise words. So happy that I enrolled her in the Pinoki Program." 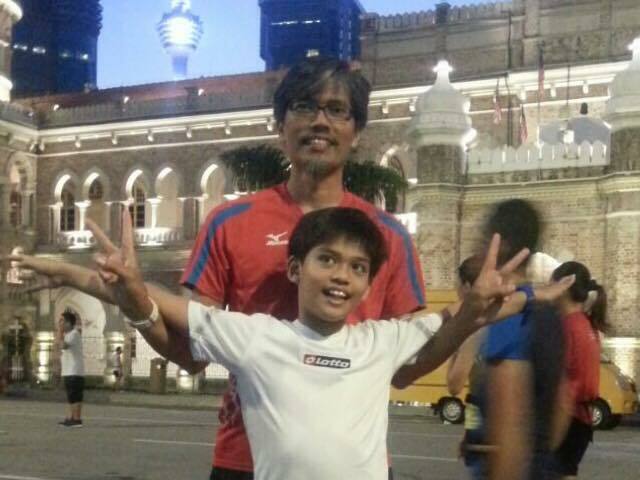 "I notice that my son, Mohamad has shown good improvement after being with Pinoki for close to a year. He used to have difficulty doing math and staying focus is a challenge for him. He is a different boy now. He is more aware of his surroundings and the Sensei Kim mentioned that she need not repeat questions to him like she used to. His confidence level has also improved especially when it comes to Math. He doesn’t hesitate to answer Math questions. At times he even responds faster than his friends! Best of all he can stay focus for a longer period in class and that has certainly help him in his learning. Thanks to Kim Sensei for her effort on teaching Mohamad." "Shevaun joined Pinoki KD when she was 3. I decided to enrol her in Pinoki due to her short attention span and her selectiveness in completing her tasks/lessons in school. Over the course of 3 years in Pinoki, I have seen improvements at different stages. The first improvement was her ability to concentrate, and complete her activities in class. That was a good start. However, when she was 5, her school teacher informed me that she didn't like reading and spelling. I highlighted it to Jason Sensei, and he customized a reading program for Shevaun. Viola! That worked well as she is into reading books now. Shevaun is 6 now. She is still her cheeky and happy self. Her memory amazes both my husband and I. At times, she thinks in ways beyond her age. She is quick to think and fast to answer. 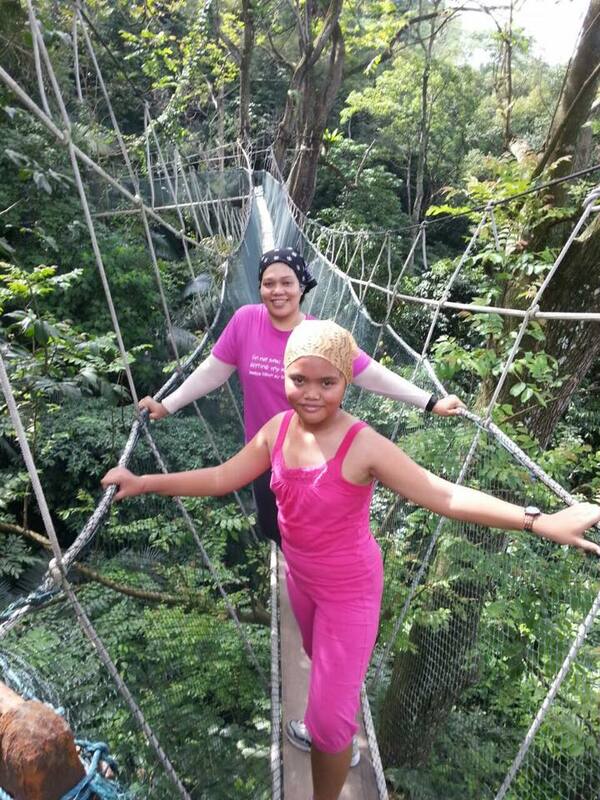 She loves the fun activities in Pinoki and we are truly happy with her progress. She is ready to go to Standard 1 next year." "Wu Yang has improvement at spelling and better at remembering new Chinese words. He used to be very forgetful, but now, he can remember a lot of little things in daily life. E.g. Where he put his stuff. Even though his school teacher still complain that he doesn't focus in class, I am surprised that his exam results has improved. ?? Thank you Kim sensei for the effort at teaching my son." "My husband & I just returned from my 4 year old son’s Parent Teacher Meeting at Pinoki KD. 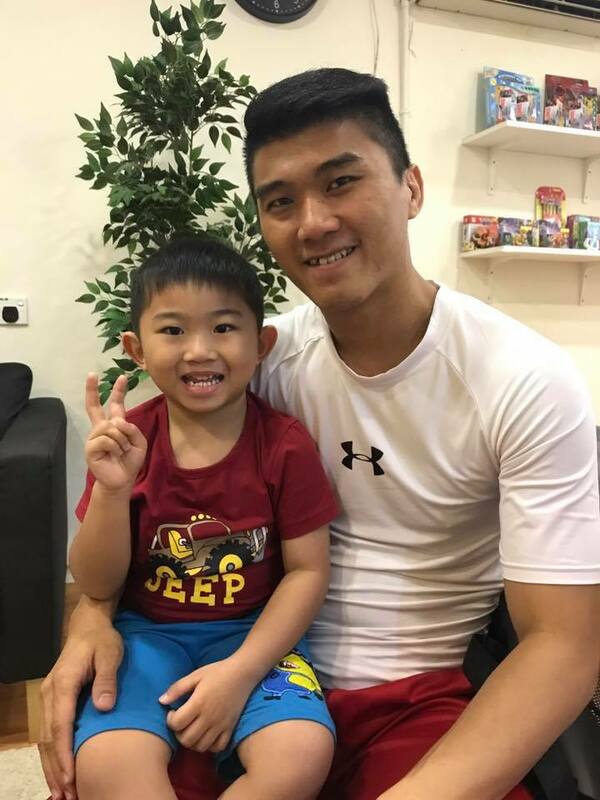 We are impressed with Yik Yew’s progress in a short span of 3 months at Pinoki. He enjoys his classes so much and can adapt to new lessons easily, thus he learns fast. He can read words and is counting steadily now. Apart from academic improvement, we are surprised to see that he is well disciplined in class. He abides to rules & listens to the Sensei in class. That is something very unusual as he behaves differently at home. We wish to thank Derrick Sensei for his guidance towards Yik Yew." 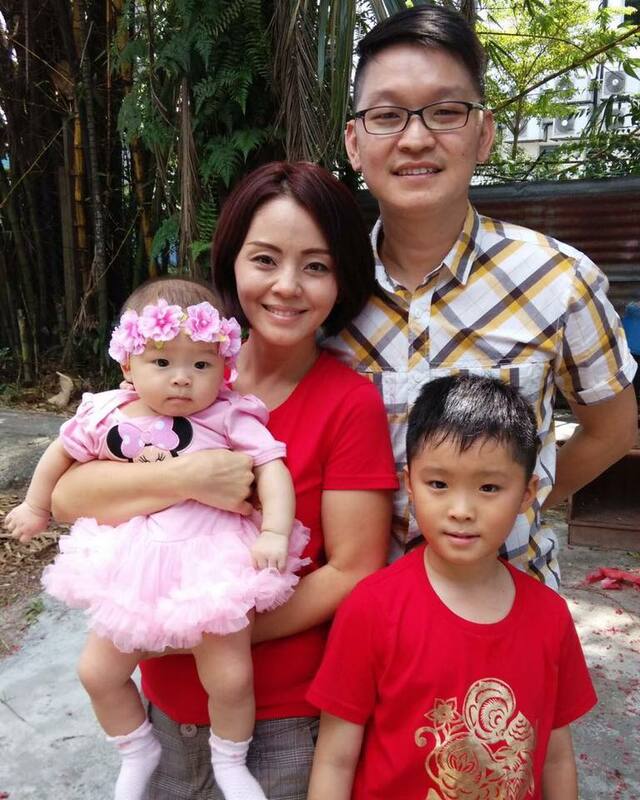 Min Xuan has been enrolled in PINOKI Mahkota Cheras for one and half year. I like Pinoki because it is a well structure academic program. My daughter loves to go pinoki brains training center. I am surprise that she learns so many things in a short time. Currently I am spending about 5 minutes on each subjects such as spelling , ?? and Ejaan. “My name is Irene and my son is Kingston. I decided to try out Pinoki for my son. So, Kingston started Pinoki at Kota Damansara last year. Recently, I have seen a big change in him. Many friends have also told me that he is now more talkative and seems smarter, compared to before. They asked me what program did I send my son to. Last time, Kingston was a very quiet boy and seldom socialize with other children. I tried to create conversation with him by asking him about his day but he always gave me a very short answer. And always the same answer. Last few months, he has been telling me many things. He told me what he did in school, what he ate for breakfast, lunch and teatime at his daycare, who his new teacher is, what the new students’ name are and what he learned in school. He told me almost everything that happened in his class. 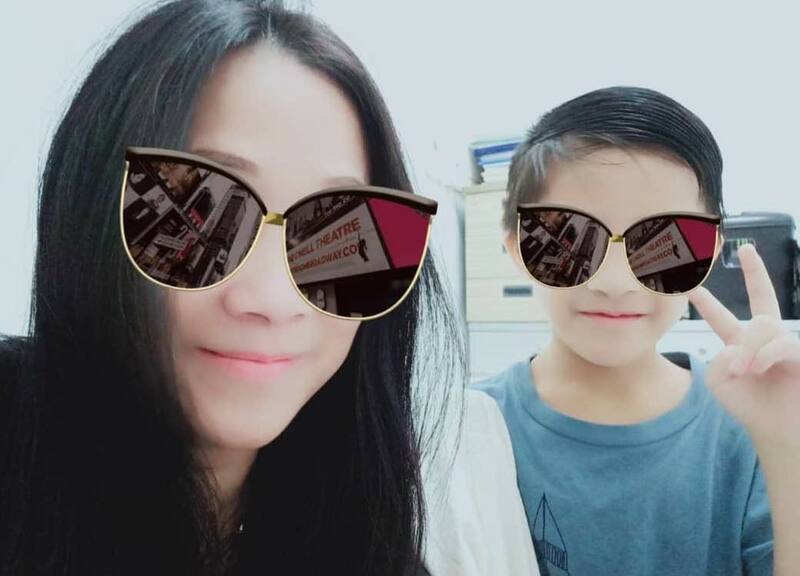 Last month, I told my boy that I will going to Cheng Du for holiday but couldn’t bring him with me as he had to go to school. Then, I texted his daycare teacher to inform her about it. To my surprise, the teacher said Kingston has already told her. I was amazed that he could tell his teacher such detailed information. I also remember him bringing home his English spelling test paper, which he got 70 marks. I told him it was good, but I hope he could get 80 or 100. You know what he told me? That was really funny and made me really proud of my son. He can also remember most of the Chinese words learned in school, even though I don’t teach him at all. "Akmal is active in football and more interested in extra curricular activities than doing homework. Even though he didn't study much for his last exam, his results weren't that bad. I believe that Pinoki helps him in understanding what he was taught in school, and he could also remember with minimal revision." "Andrew joined Pinoki when he was 4 years old. I have seen my son grown from an anxious boy in his first month in Pinoki to a confident boy now. Recently, he got a perfect score for his Chinese spelling test. He told me that he used the method taught by Pinoki. He can get all the strokes and dots in the right place. 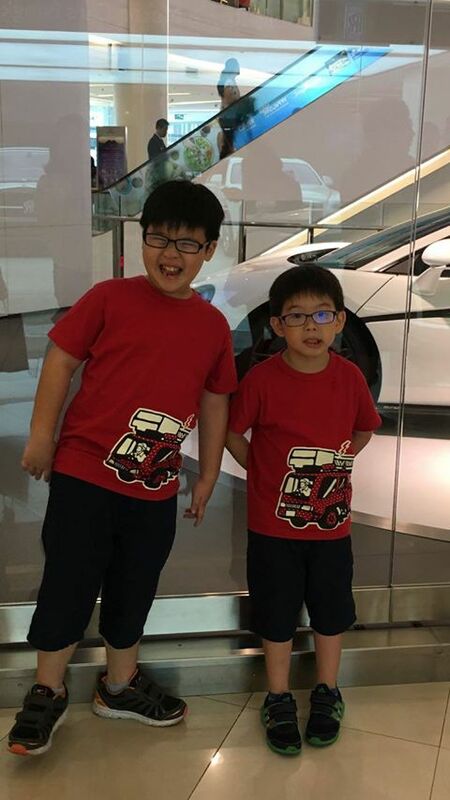 I am very glad that I sent both my sons to Pinoki TTDI." "I have always found it challenging to teach Livnesh at home, as he has short attention span and gets distracted easily. It was stressful at times and I decided to seek help. I came across Pinoki in Kota Damansara in 2014 and decided to give it a try. Today, I am pleased to share that Livnesh’s concentration has improved in leaps and bound. Homework coaching at home is a breeze now compared to before. His memory is also amazingly good. He remembers his lessons taught in the kindergarten and need not refer to the book when doing his homework. He used to score in the region of 80+ marks last year but this year it’s all 90 marks & above. He looks all set to go to primary school next year. I am glad that I enrolled Livnesh at Pinoki!" “Pinoki program has helped my daughter in various ways, especially when it comes to understanding and remembering concepts taught in school. I am more than happy with her results in school. More importantly, she enjoys learning at school. That's what matter the most to us as parents. Her English and Reading skills have advanced significantly and she can remember most of the words she learned. Furthermore, her Math problem solving skills has also improved. 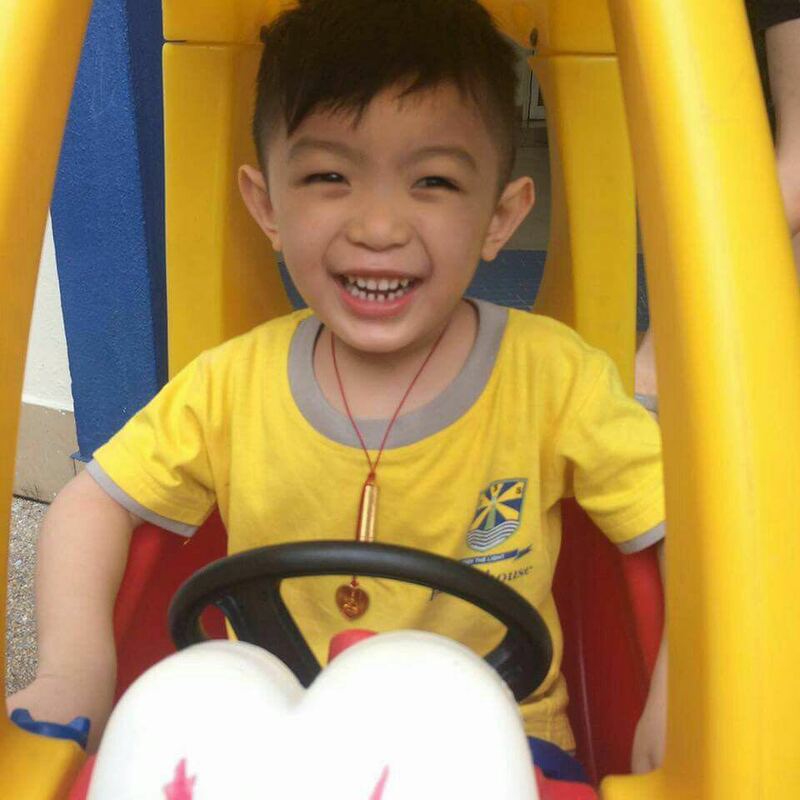 "In less than 6 months that Sinjie has enrolled at Pinoki, he has shown noticeable improvement in attention span and understanding of kindergarten material. Even the teachers are surprised! Looking forward to further brain development at Pinoki!" 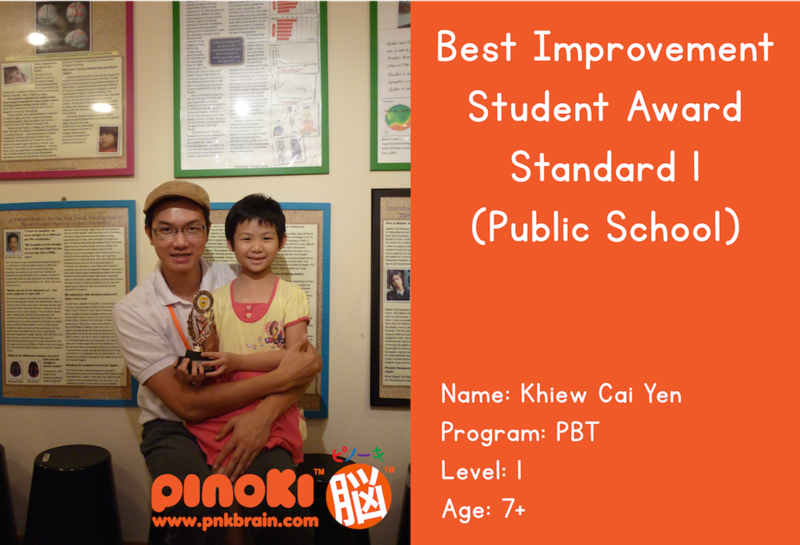 "My 8-year-old son, Ming Yuan has been attending Pinoki classes since 2014. His results are average as he is careless with his school work. He is impatient and always wants to be the first to finish his work in class. I was really concerned about him and constantly ask him to overcome carelessness. I feel that my constant nagging has created tension for my son. Early this year, he told me that he disliked school & his confidence has dropped too. I was invited by Pinoki to attend a Parent Teacher Meeting few months ago. I had a good heart-to-heart talk with the principal Jason, and he opened up my mind. I realized that I have been the source of my son's stressful behavior in school. The meeting made me reflect on my actions. The relationship between Ming Yuan & I has improved after the meeting. I no longer push him but encourage him now. His recent school results were good. He improved in most subjects. I am so proud of him. 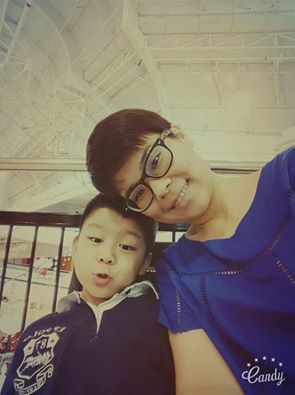 Thanks to Pinoki for not only helping my son at school, but also for helping me in my relationship with my dear son." "Overall, the Pinoki program has contributed to Samisha's improvement on many aspects. I believe that the whole-brain method is really helping her develop higher ability to learn. Her recent exam results were excellent, especially for Maths. I am very happy with the improvement. The method of teaching suits her and she enjoys every lesson. 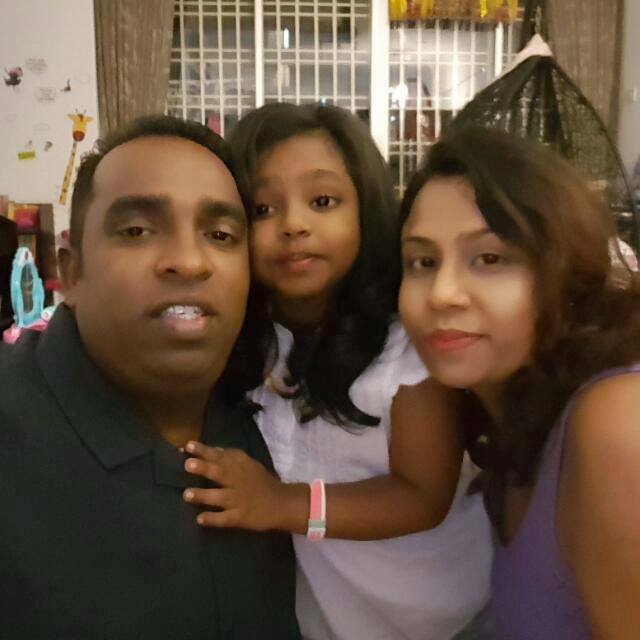 Sensei Siti has taught me how to teach Samisha at home, and it is very effective when I guide her to revise her school work, especially at Maths. Nowadays, I also use the Pinoki method for myself, when studying for my own exams at work. Lastly, I am very thankful to Sensei Siti who knows my daughter very well and has done an excellent job in guiding her." I fully support your observations on Daania. 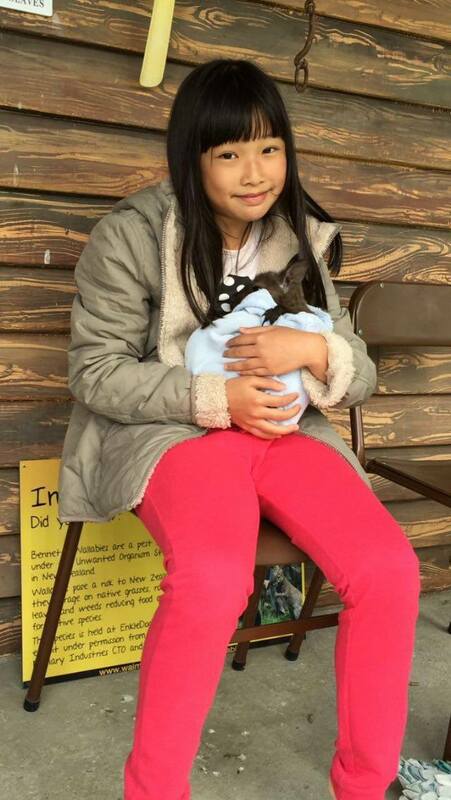 I am confident with the help of Pinoki Skill and our involvement, we can actually help Daania to overcome her skills. I believe we both can work together to address this matter. We week your observations feedback, remarks and guidance in achieving remarkable results. We will continue to support you in accordance as above. Thank you for your attention. Everyday, he will request me to read books for him. I didn't know that he can remember because normally I'm the one who reads. Until one day, his friend came over, I said, "Ian, you read story book for your friend, okay?" Then he really can read! It's only then that I know that he can remember. Thanks Pinoki and all the sensei who train him so well! His kindergarten teacher calls him 'Teacher's Hero'. Pinoki helped my son Raif to be more focused in class. His Math is fantastic and his favorite subject. He can easily answer addition/subtraction questions without counting with his fingers. He can count in his mind. His memory is really good. He can remember family activities and precious moments that we have shared together that took place years ago. I can also see improvement in reading English books. 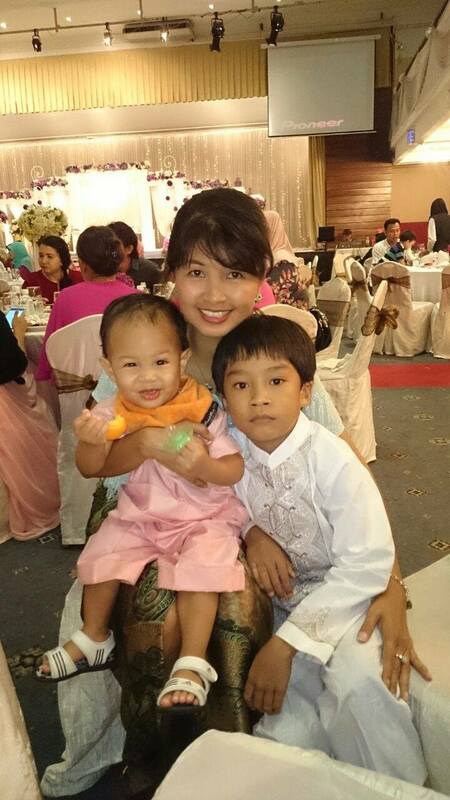 "Before joining Pinoki TTDI, Zill didn't speak much, especially English. It was difficult to get him to communicate with others. His attention span was also very short. After a few months at Pinoki, he started to speak more and sometimes even used English. Now, he can even remember the lyrics of Justin Bieber's songs. The best part of it is that he hasn't started kindergarten yet. He is into puzzles now. Really love them and can complete the entire puzzle without being distracted. When we took a different route to his grandpa's house, he told us that we have taken a wrong turn. Pinoki has also developed him into a confident boy." 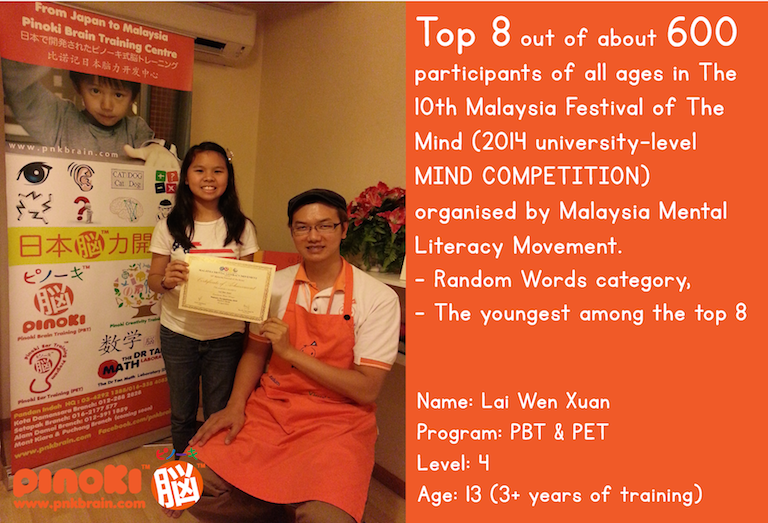 Congratulations to Lai Wen Xuan for being awarded the Top 8 out of approximately 600 participants of all ages in The 10th Malaysia Festival of The Mind (2014 university-level mind competition) organised by Malaysia Mental Literacy Movement. 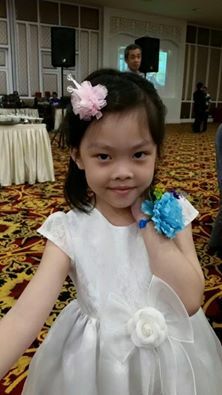 She is also the youngest among the top 8 participants in Random Word category. Thank you Pinoki Brain Training Center...Before training he doesn't speak much but after training, he has picked up a number of words and he is able to read a number of written words. His teachers in nursery have also noticed and have complimented on his improvement. "Thank you Dr Tan and all the Sensei in Pinoki who had, and still are paying efforts in educating our children." 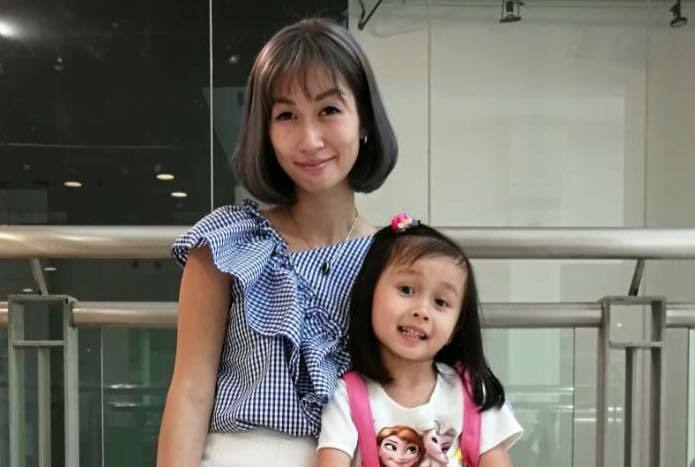 "She can read faster and remembers most of the stories, words and sequences now, we believe that she benefits from Pinoki." 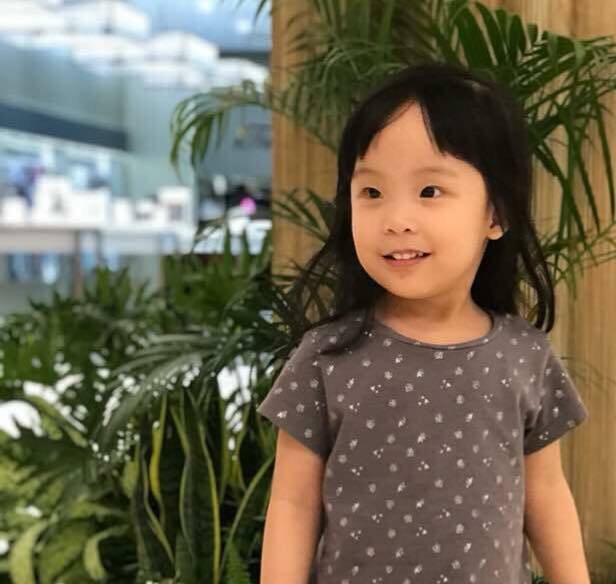 "Ryn enjoys going to Pinoki, not only because she gets to learn and play, it's also because she gets to take up challenge every time she's in class." Chen Zhe used to have inferior complex due to his language barrier. Thanks to Pinoki he no longer feels so. 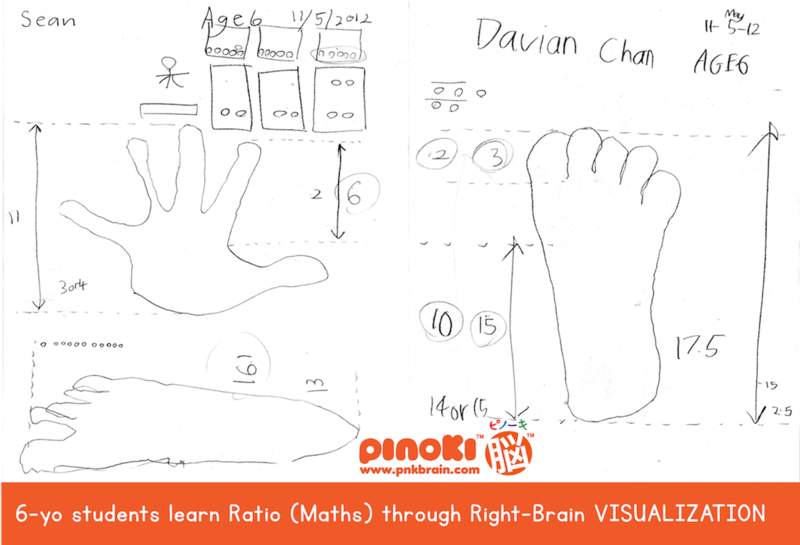 Pinoki lessons have also magnified his natural talent in drawing and developed his self confidence making him a more outstanding student now. We are happy that Jia Yi has the opportunity to be exposed to the Pinoki Method in class. She is very happy in her class & is progressing well. Her Sensei's willingness to assist Jia Yi has also helped in her progress. Arinah was the No 1 student in her class & top 3 overall for Form 1 …she’s one happy girl given how competitive she is. She’s definitely utilising all the skills taught to her by Pinoki & putting it to good use. Just that I sometimes worry about her being so competitive & always remind her that its okay not to be on top all the time. 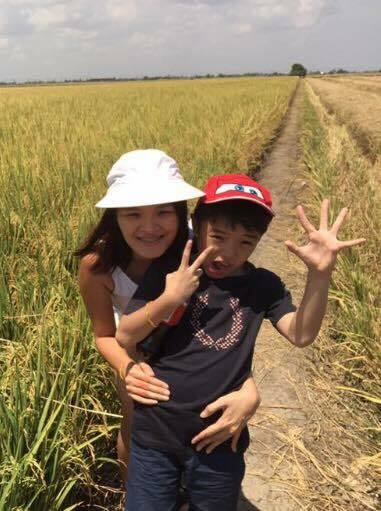 “Last week, I went to Pinoki for a meeting regarding my son Jun You’s progress. During the meeting, my son did 2 learning activities with his teacher. Wow, he really surprised me. The test shown his improvement, which was beyond my expectation. I never put a lot of pressure on my son in academic because he has no patience, especially those subjects at which he is not interested at. He is a nice and happy boy. As a mother, I don’t believe in pushing my children to score 100 marks. It is not the correct path and perhaps he is good in other fields, that's why I have been sending my kids to Pinoki Kota Damansara since 2013 for brain development. Even though I don’t fully understand about brain training, but I do believe that Pinoki will help my children in some ways. The improvements I saw in Pinoki last week, was worth all my effort to send him all the way from my house, located 40km from the centre, every Saturday. From the tests, he shown significant improvement compared to few years ago. Teachers from different subjects in Jun You's school also told us the improvements they definitely see from my son. And I believe Pinoki will continue to lead and guide him. I also like this centre as the teachers and principal know my children very well, and always willing to give me good advice at the right time. 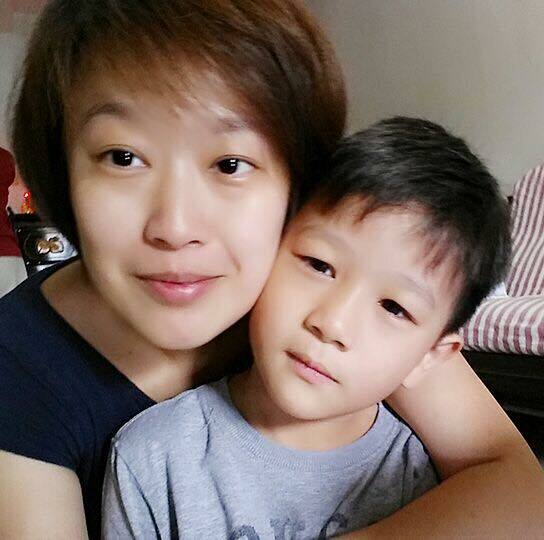 I’m mother of Henderson Wong Hong Ming (5+ years old), PBT Level 1. 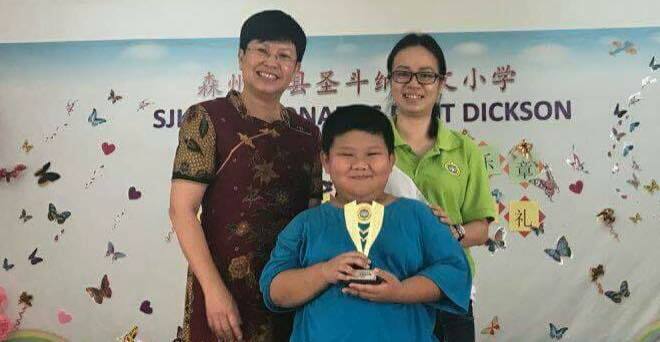 First of all, I would like to thank you all the Sensei of Pinoki Pandan Indah that educating our kid in full responsibilities and efforts and of course not to forget thank you, Dr. Tan! My son is enjoying the lessons in Pinoki. Since attending Pinoki in 2011, my son is able to read the story book by his own. After reading, he can tell us what the story is about. Besides recognising the wordings, he is also improving his languages and logical thinking. He is able to problem shooting in logical way, either physically or mentally. We as the parent of Henderson are grateful to observe our son is keeping improving his work done, neither from school nor from home. From the above beneficial, we would appreciate that all the Sensei keep on their keen education knowledge till endless. Arigato Gozaimasu. We started our twins Jozka and Jovia in July this year, as we felt that they needed to have stronger foundation in their learning. Before Pinoki, I found it very difficult to teach them at home as they were very difficult to manage and teaching them was really stressful for me. We started seeing improvement within the first 3 months and they are now more orderly when it comes to learning at home. I have also seen good improvement in the subject of Math and we are really happy with the results. 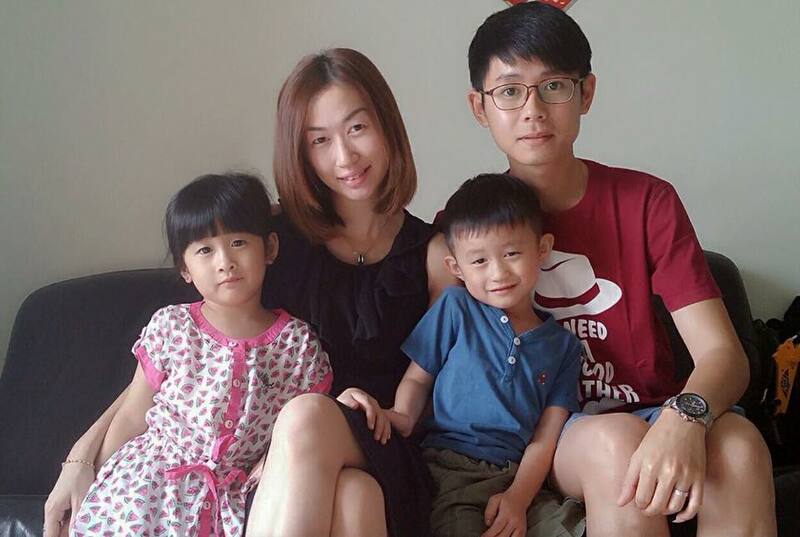 "I feel that Zi Yi's memory has definitely improved after going to Pinoki for 3 months. She could remember where I put my things when I couldn't even remember. She is also more confident now when she used to be very timid previously. 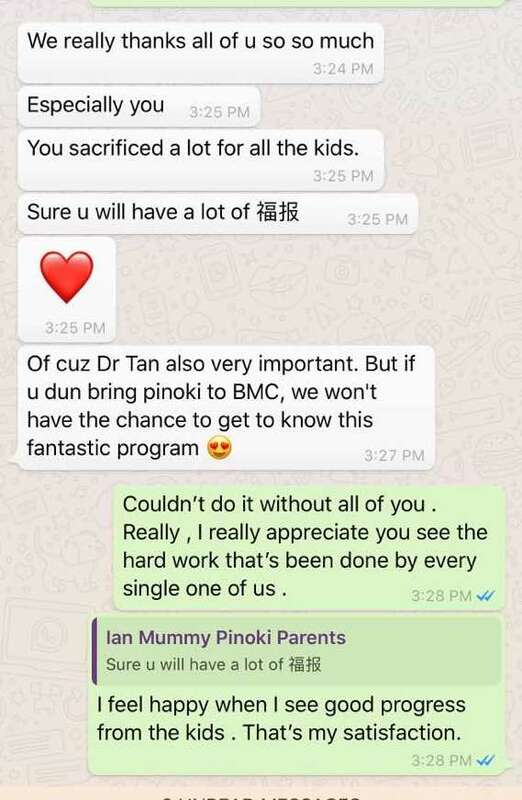 Thank you Pinoki for helping my daughter improve." 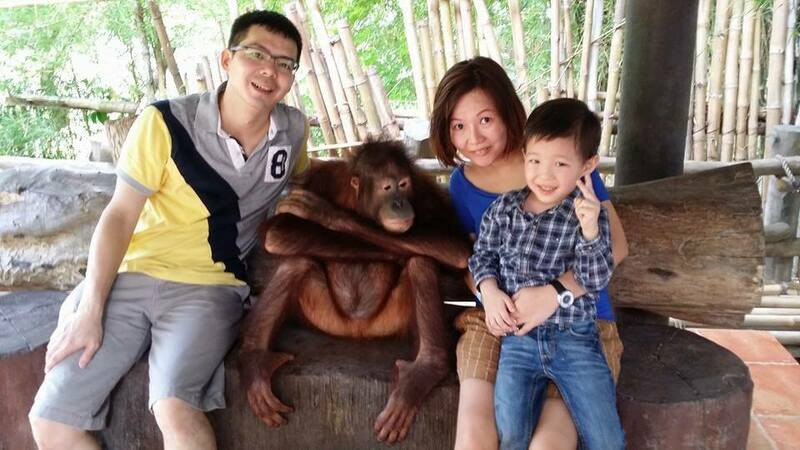 "My son Zhen Feng has been through a few types of enrichment class. However, his progress was slow. Unsure at the beginning, but I was attracted to the unique teaching method of this program. To my amazement, I could see significant improvement in his studies. He can grasp certain concepts faster and also more detailed at his work. And certainly, he has become more confident nowadays. Thanks Pinoki. I am sharing with more friends about this program too." 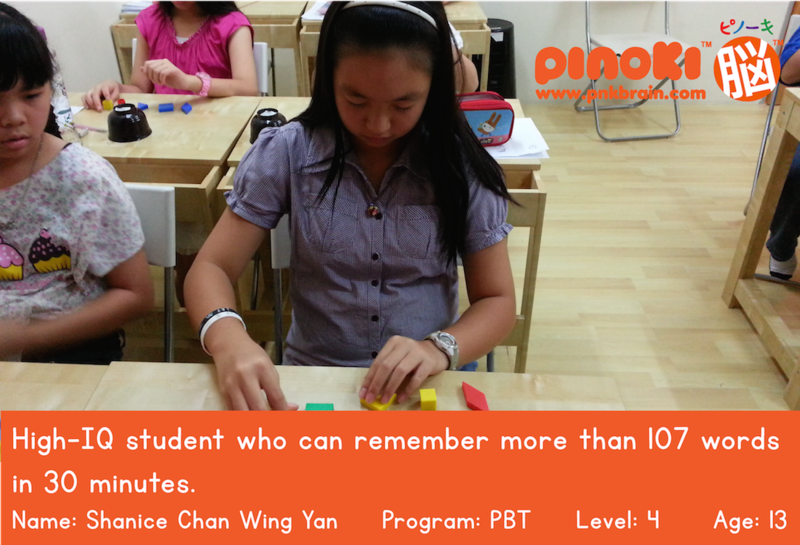 Qi Yuan used to give up easily before starting Pinoki lessons. With the encouragement from his Pinoki Senseis, he has improved his ability at Math and Memory. Even though he might not tell much about his lessons, I know that he gives his 100% in class now. "It hasn't been a smooth journey for Cayden when it comes to learning, because he has short attention span. Looking for various solutions, we found Pinoki centre at TTDI few months ago. We can see good improvement in terms of concentration and Math. He is more willing to learn at home too, and looks forward to Pinoki every week. Thank you Pinoki for the patience and dedication at helping my son." Able to recognise English words without phonetic input on the spot at the age of 2. 6-year-old students learn Fraction through right-brain visualisation. Best-Improvement Student Award. Standard 1 (public school). Able to remember more than 99 random words in 10 minutes. Solving 200 three-digit addition quizzes in 10 minutes. Accuracy: 200/200. 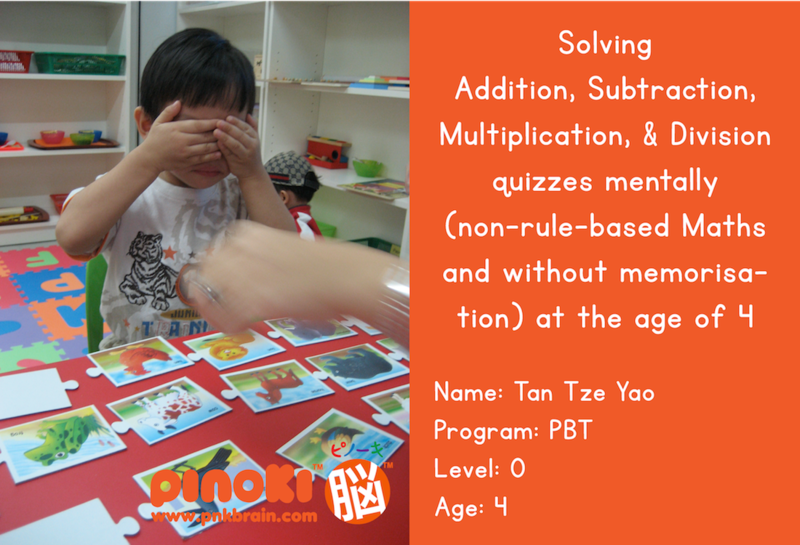 Solving addition, subtraction, multiplication and division quizzes mentally without using memorisation or rules at the age of 4. Able to read a passage speedily and recall 50 key points from the passage. Able to remember the periodic table of Chemistry up to the 56th element in 3 minutes without prior knowledge of the periodic table. Ranking in school before training: 14 to 21. Ranking in school after training: 7. Able to remember more than 93 random words in 10 minutes. A high-IQ student who is able to remember up to 107 random words in 30 minutes. Able to remember more than 60 random words in 10 minutes. A 15-year-old student applies Pinoki Mental Note and Right-Brain Memory in Chemistry. He scored 93% in Chemistry, the highest in the entire grade. Able to remember more than 85 random words in 10 minutes. 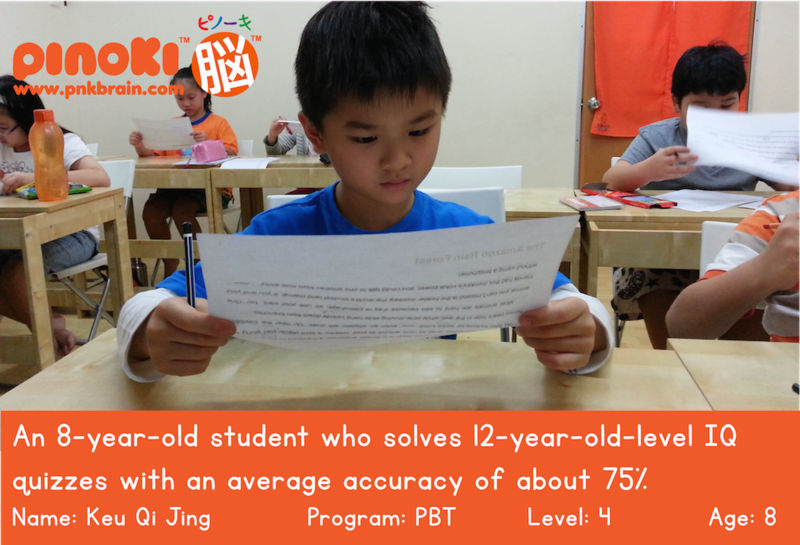 An 8-year-old student who is able to solve 12-year-old-level IQ quizzes with an average accuracy of about 75%. From normal class to Outstanding Class in school. Able to remember more than 5 sentences in as short as 3 minutes. 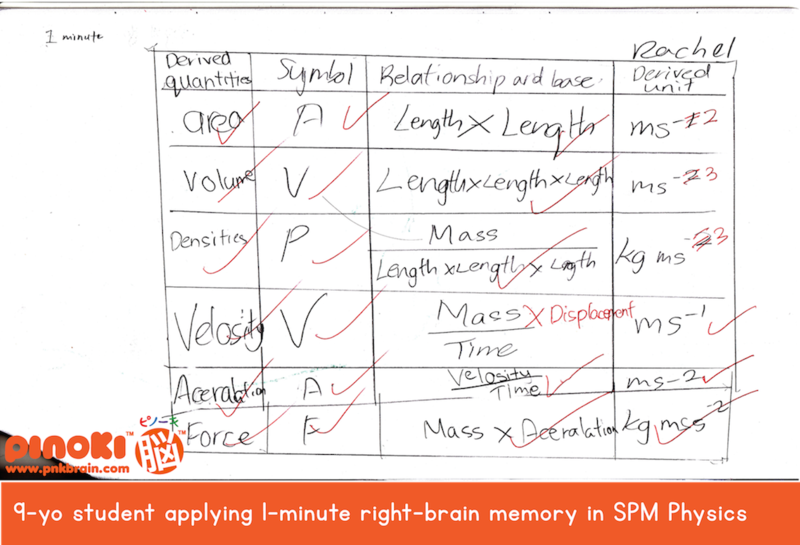 A 9-year-old student applies 1-minute right-brain memory in SPM Physics. Able to remember more than 59 random words in 10 minutes. Able to remember more than 66 random words in 10 minutes. 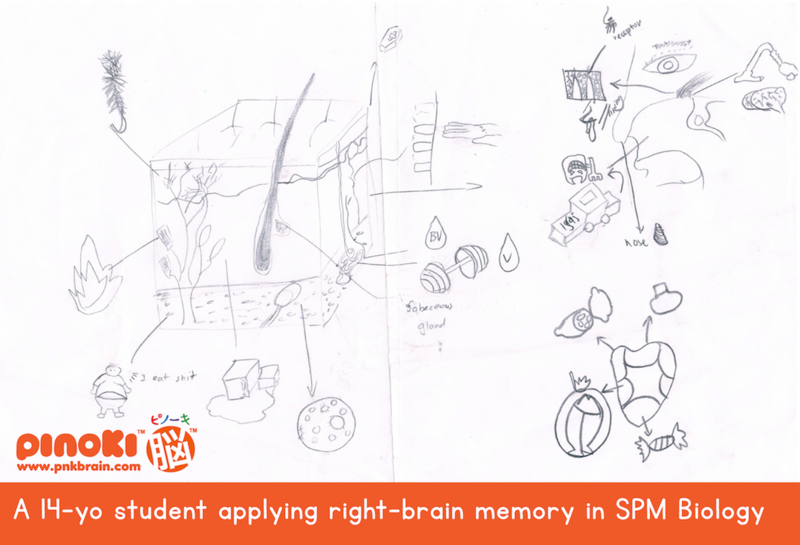 A 14-year-old student applying right-brain memory in SPM Biology. 6-year-old students learn Ratio (Maths) through right-brain visualisation.